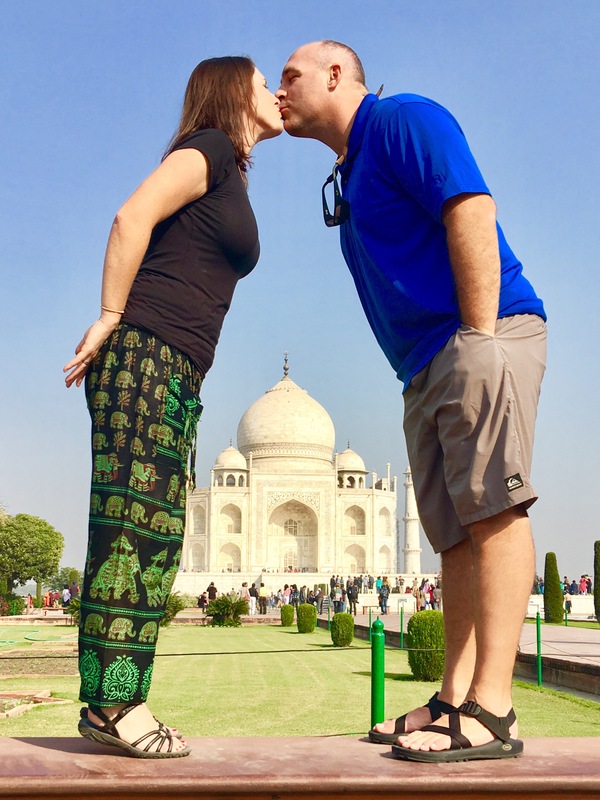 When we started out on our trip around the world, the country I was the most excited about and the most nervous about was India. It was the one region where I had no idea what to expect, which is scary and exhilarating at the same time. 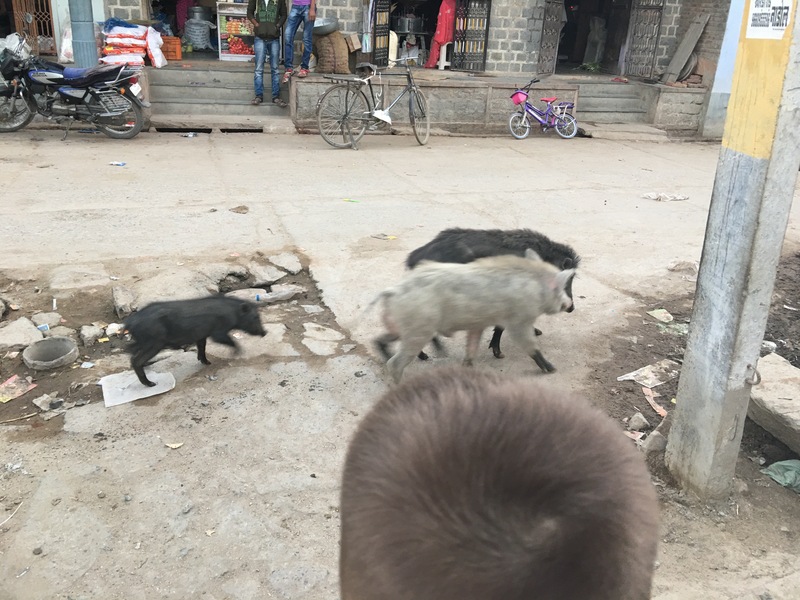 During my advance research I came across a quote that states, “There are two types of travelers, those who have been to India and those who have not.” I heard wild stories about the crazy roads, spicy food, huge piles of garbage, terrible smells, raw sewage running down the streets, immense amounts of people and alarming cultural differences. I have to say…they were all true! 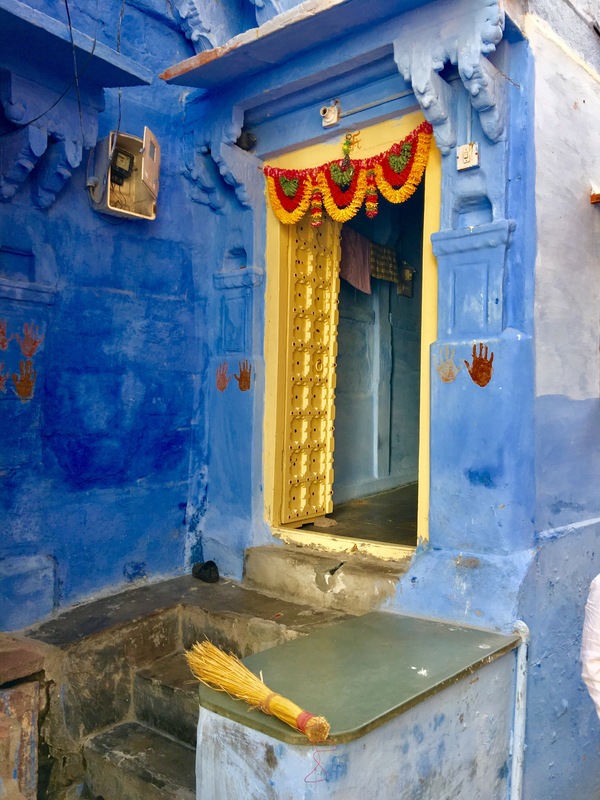 Along with all of that though, I discovered insane amounts of beauty, abundant colors, delicious food, opulent palaces, ancient temples, an enthralling culture, and warm, welcoming people. This was the only part of our RTW that we decided to have an organized tour and I am so incredibly glad we made this decision. 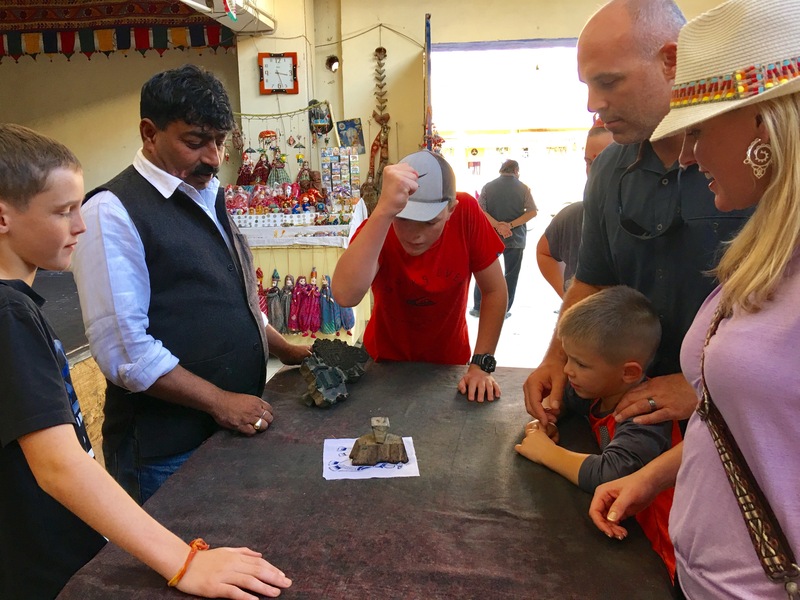 We were able to constantly ask questions about the things we experienced and saw while in India. 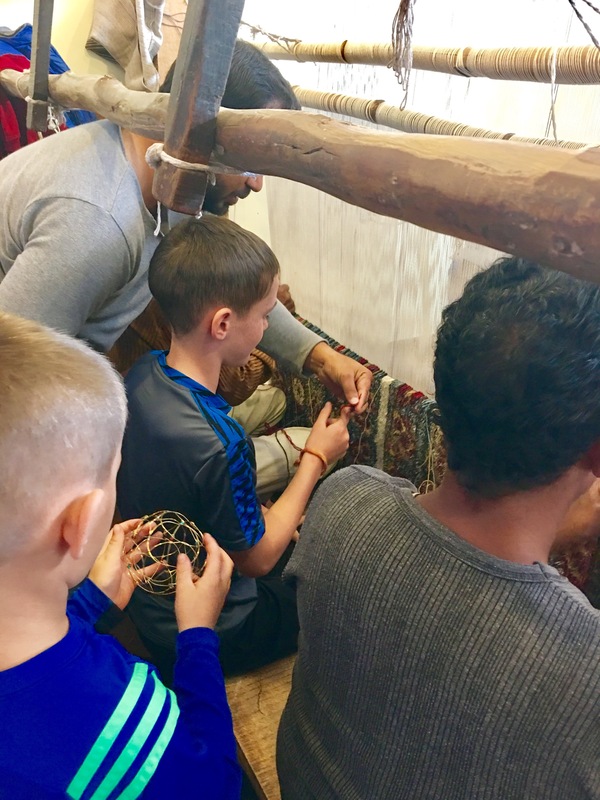 This gave us a much better understanding of the culture and what everyday life is like there, as well as providing opportunities for experiences we wouldn’t have been able to get on our own. Also, the roads are absolutely insane and it was nice that someone else, who was experienced, had to deal with driving while we all just held on for dear life! 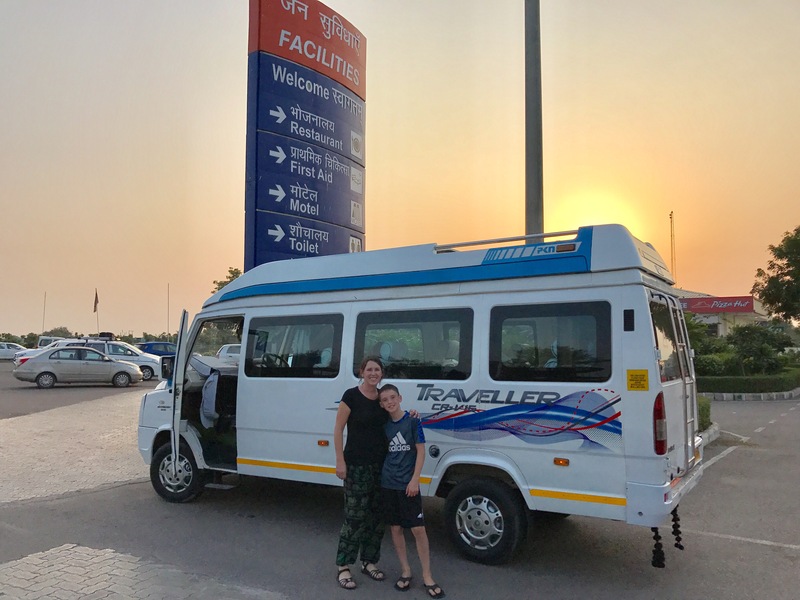 This van, and our amazing driver, took us safely around India! 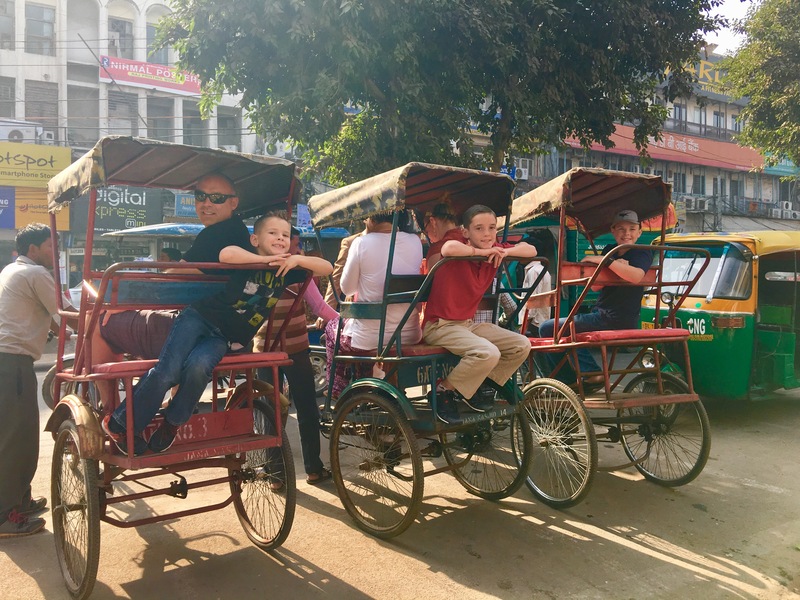 I didn’t know much about India before we arrived and it was a joy to discover many aspects of India throughout our travels. 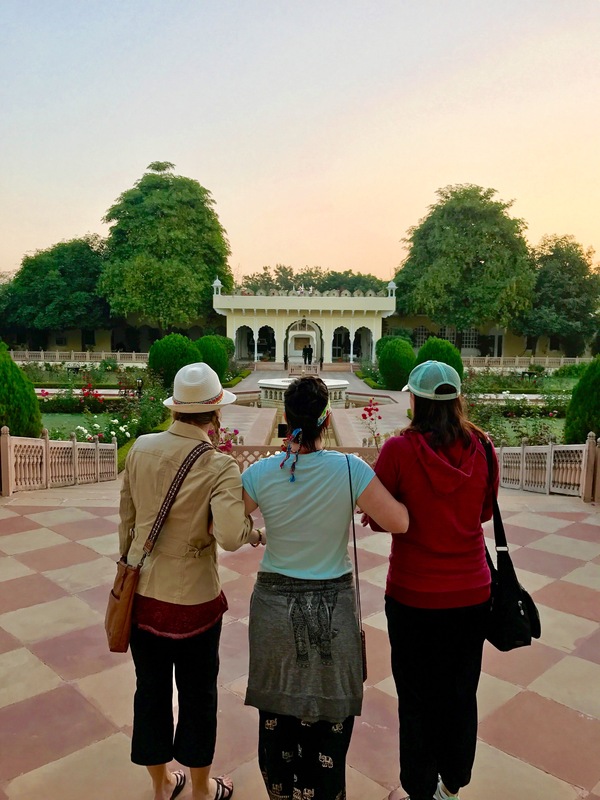 One thing that made this section of our journey even more exciting was that my two sisters flew all of the way to India to discover it with us! 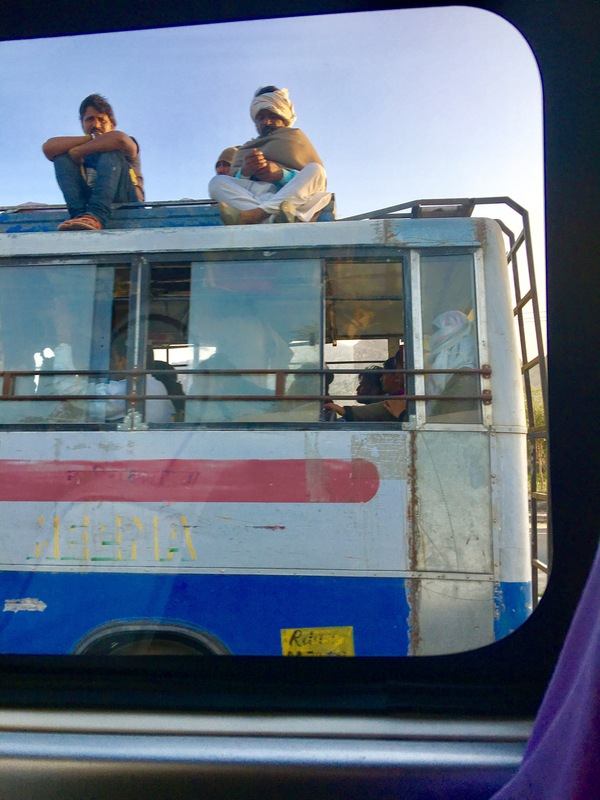 Each of them had unique perspectives coming into the trip. 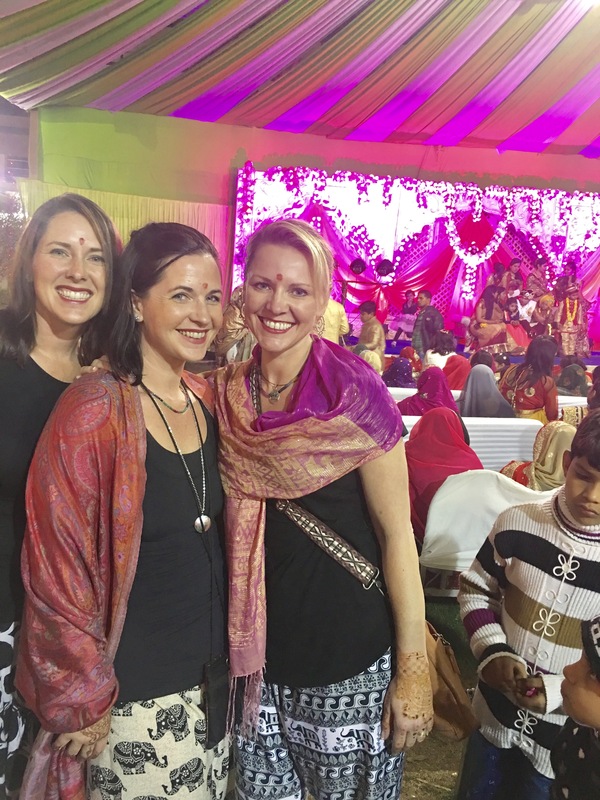 Julie, my older sister, had just finished becoming certified as a Yoga instructor and in the process learned quite a bit about Indian culture, lifestyle, and traditions. 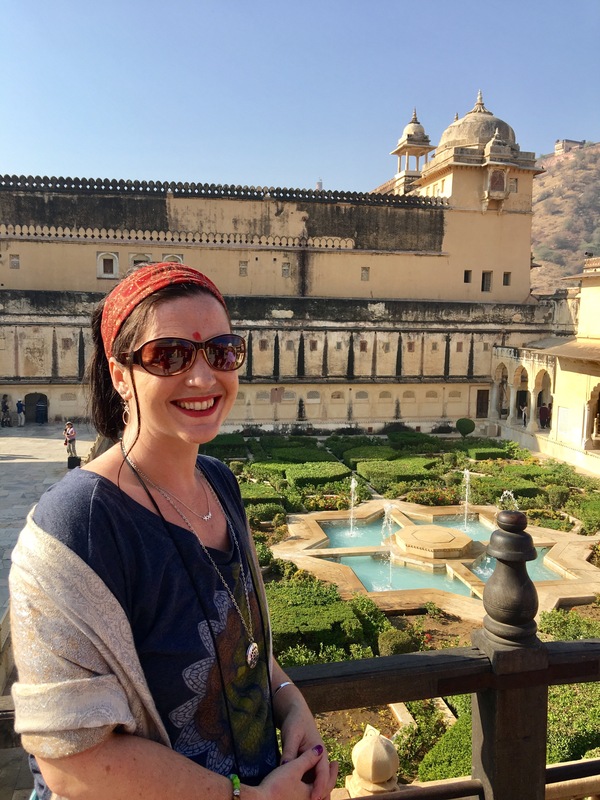 Chrissy, my younger sister, has been fascinated by India and it’s culture her whole life. 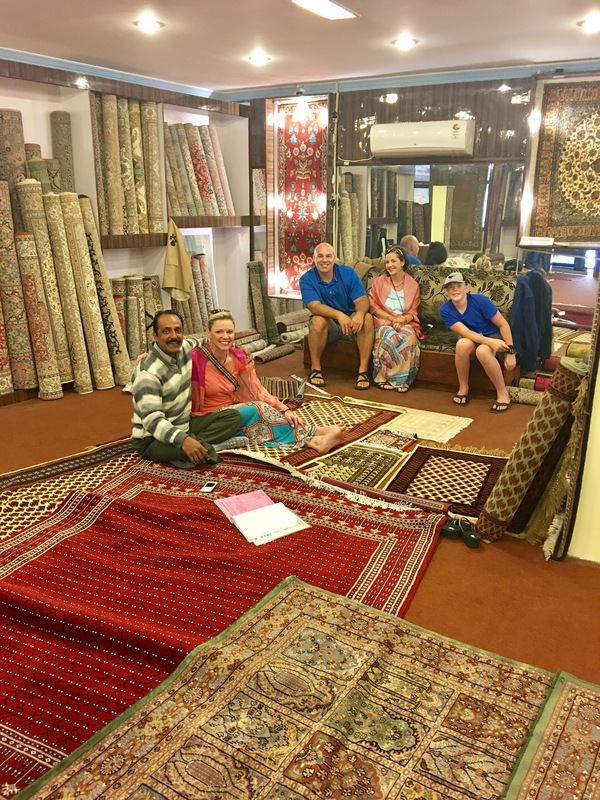 We arrived in India about a week before they did and there were many times when one of the boys would say, “Chrissy would love this store!” or “We have to bring Chrissy and Julie back here!” We couldn’t wait for them to come and were so excited to share our adventures, and India, with them. My beautiful sisters are here! 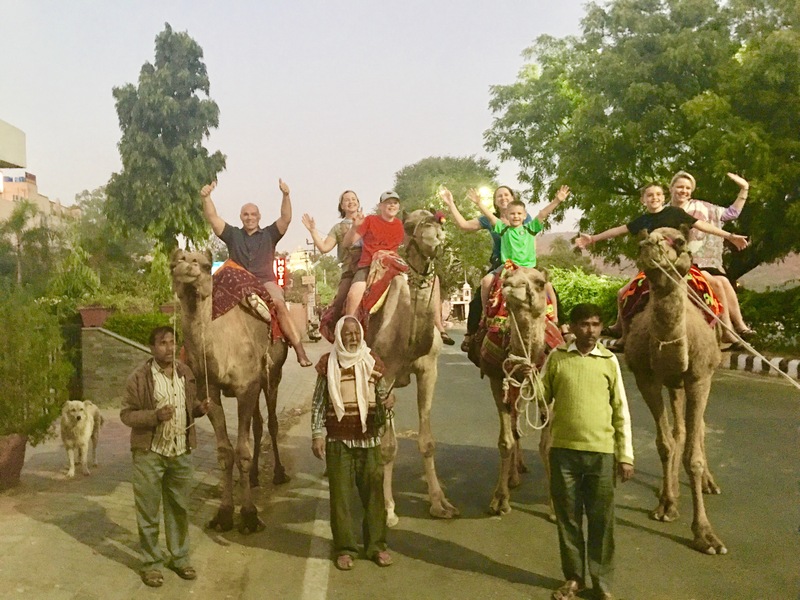 Within minutes of meeting up with my sisters we hopped on camels and had a ride at sunset. 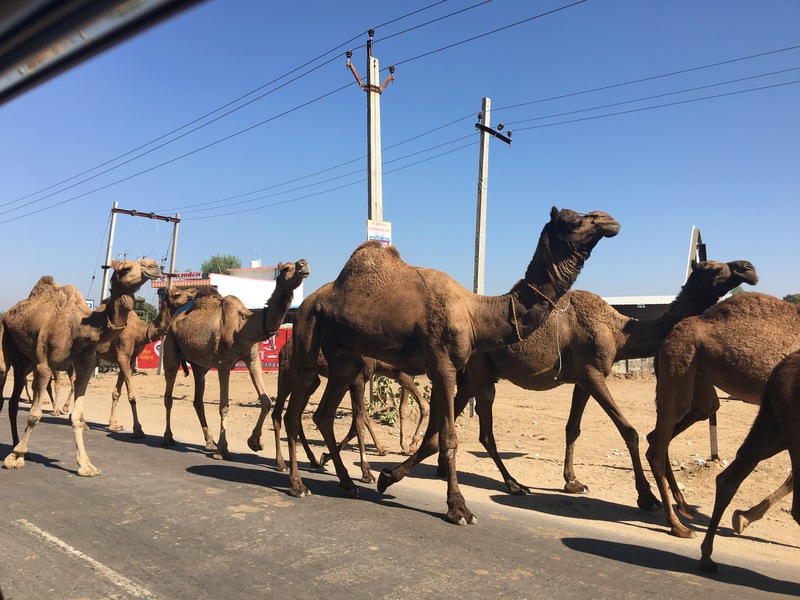 What a welcome to India! 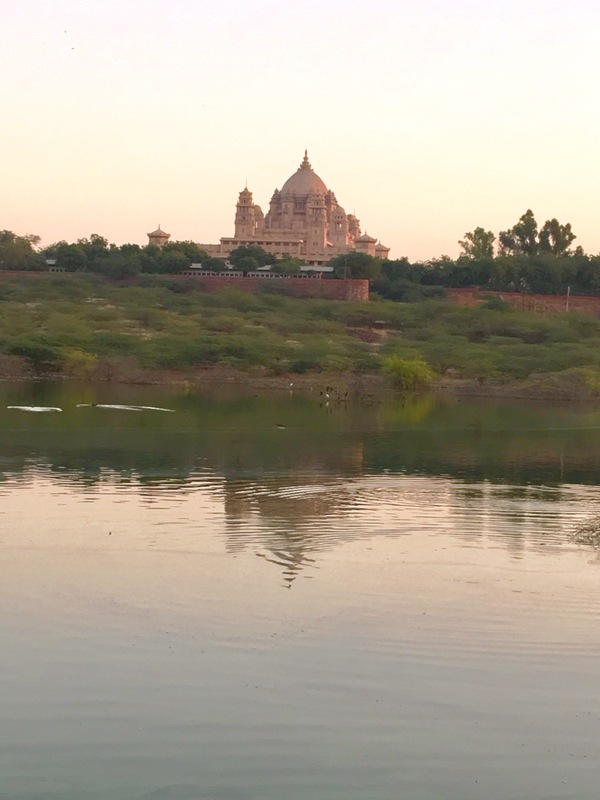 India is a huge country and while we were able to see a lot, I know we barely scratched the surface. 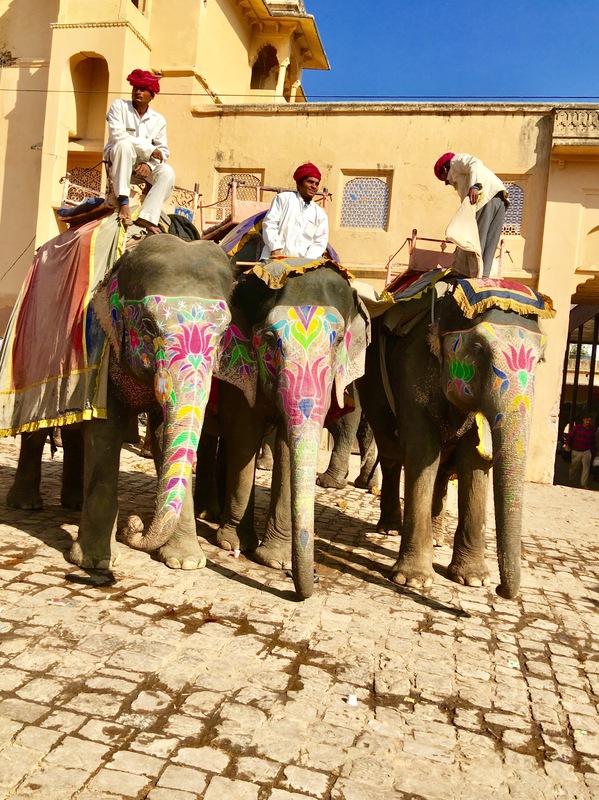 While we were there we spent the first two weeks in Rajasthan (Udaipur, Narlai, Jodhpur, and Jaipur) and then were in what is thought of as the “Golden Triangle” (Delhi, Ranthambore, Agra, and Jaipur). This was the part we did as a tour. 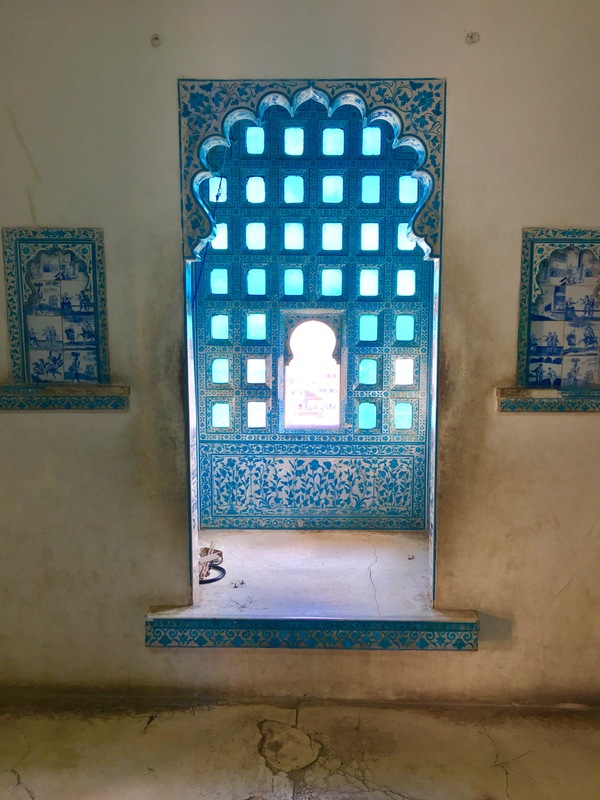 The last week, we flew down to the southwest coast on the Arabian Sea to Goa. 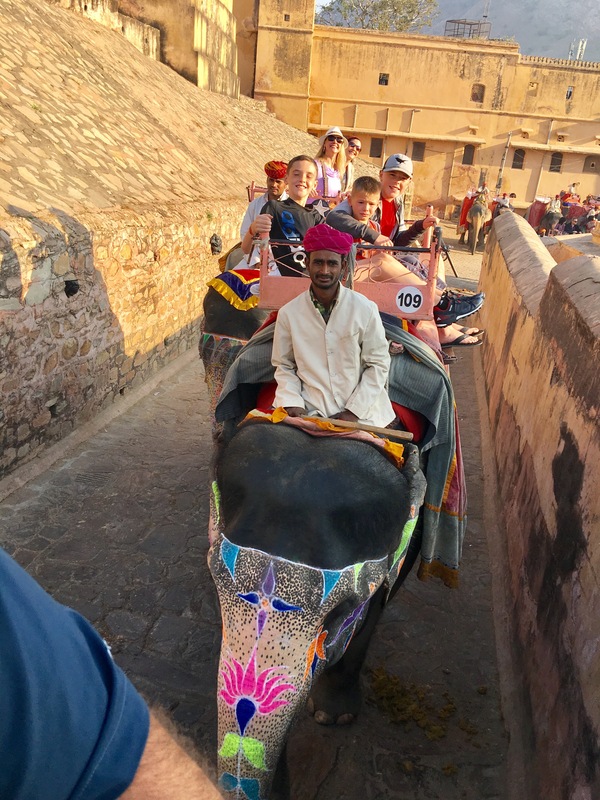 India is a shock to the senses and I couldn’t possibly share all that we experienced, but here are a few things we discovered while we had the privilege to to travel through India. 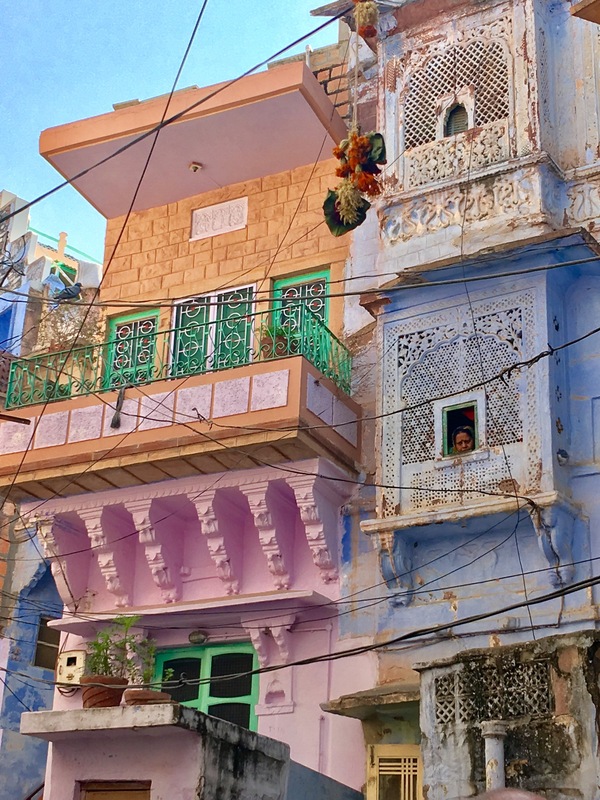 Anarchy is the first word that comes to mind when I think of the roads in India, but although it seems like utter chaos, there is actually an underlying order that emerges as you really pay attention. 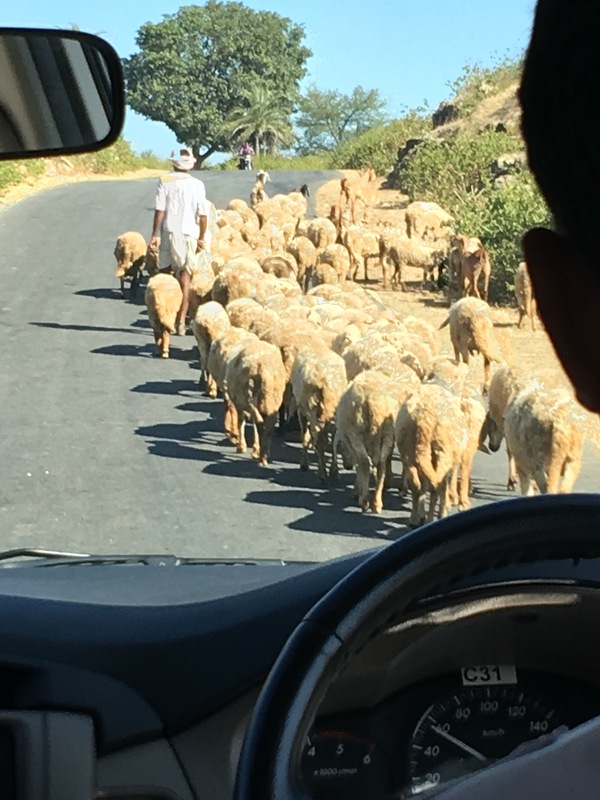 There are no lanes or attention to traffic laws in general but certain rules do apply. If you are a pedestrian, it is your job to get out of the way. 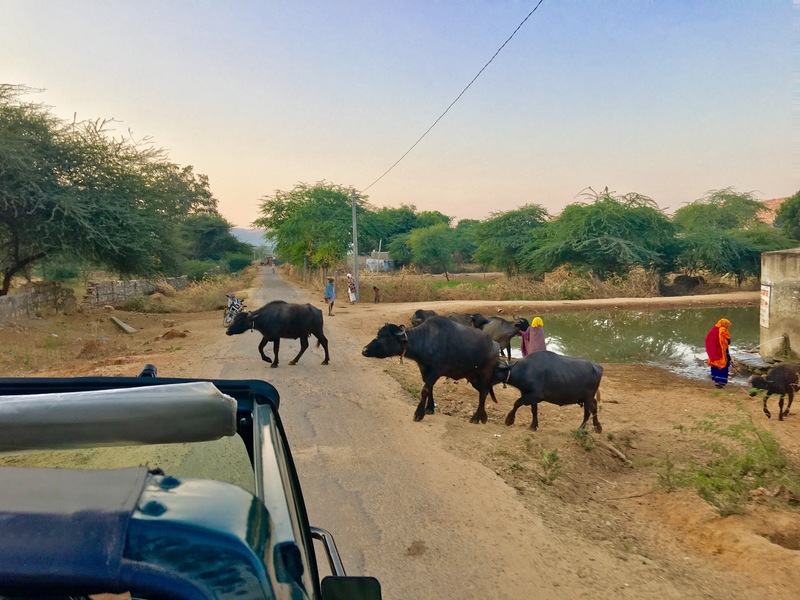 Cows always have the right of way. 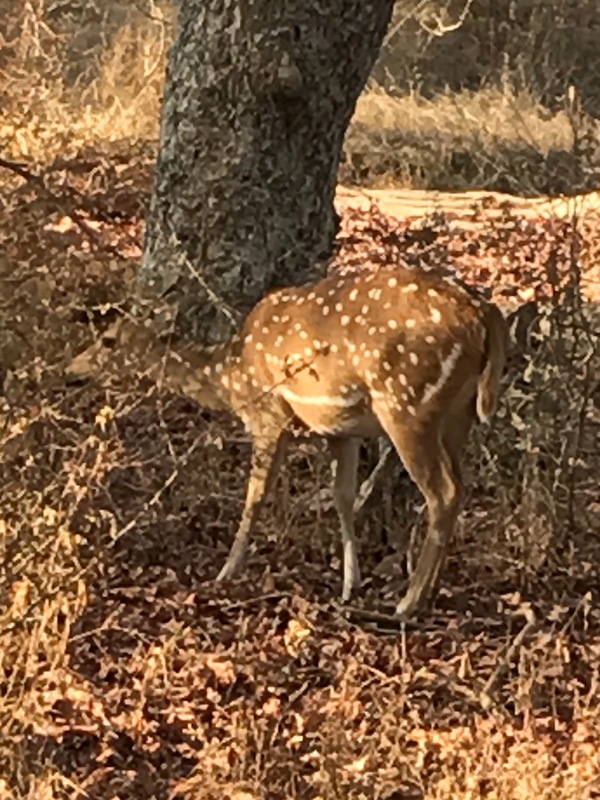 Other animals are to be avoided as much as possible. Scooters don’t follow any rules at all. Honk to let the person know you are passing. 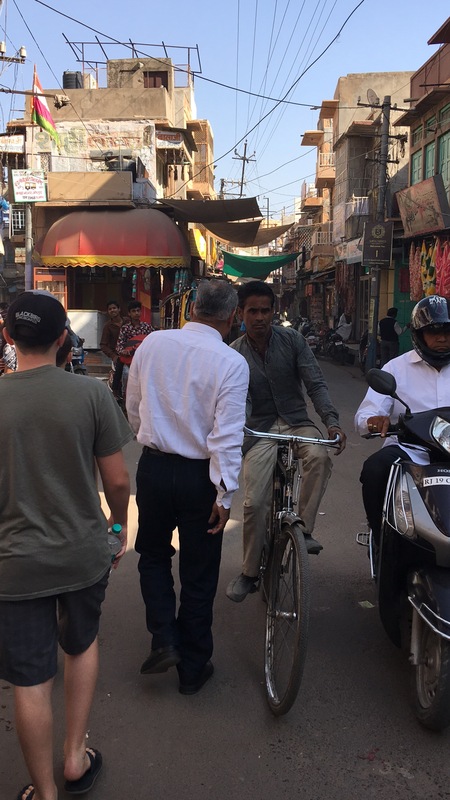 One day our guide heard about an ATM that actually had money, so we raced across town to make our way to it before it was out. 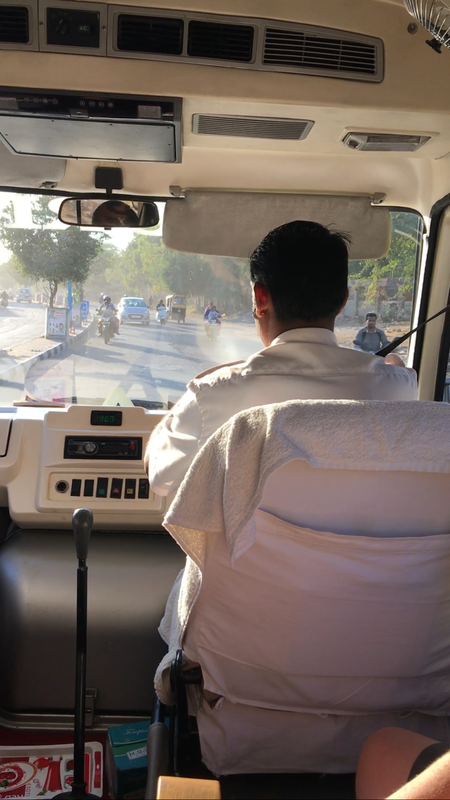 In an effort to get us there more quickly, our driver crossed the median to the other side of a divided 4 lane road, driving head on into traffic. The crazy thing was the only people freaking out in the situation was us! Even the people coming from the other direction just calmly moved out of his way! 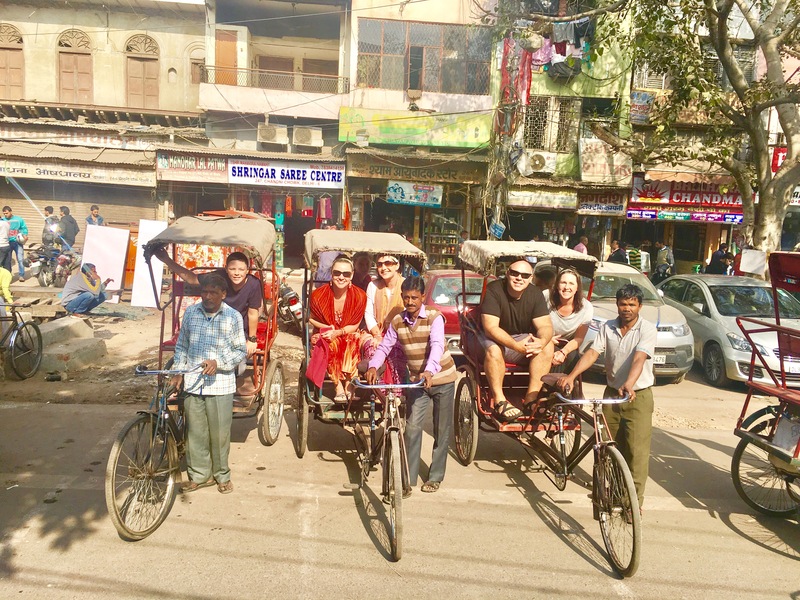 We had more close calls than I care to remember, but in the end, we made it out safe and I guess that’s all you can ask for in India! 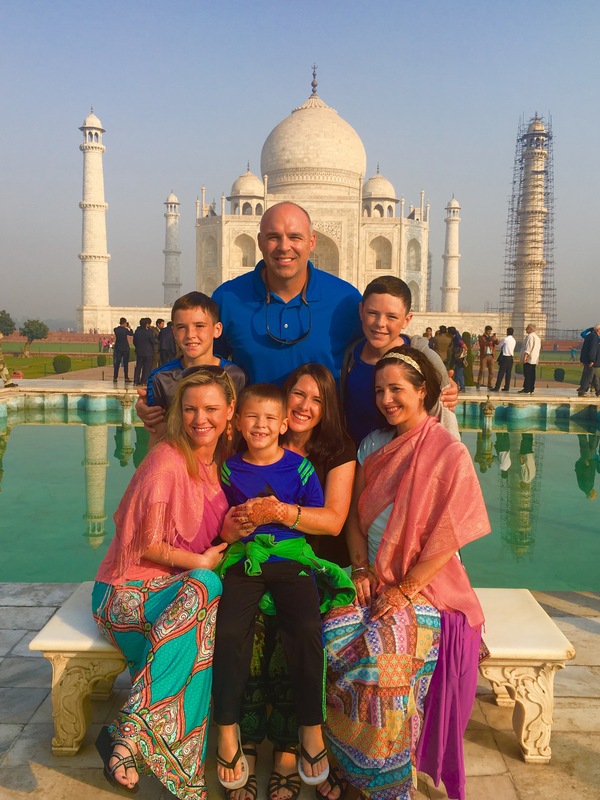 The first obstacle we hit when we arrived in India was that they were going through a period of demonitization. After talking to many people about it, here is a simple explanation of how I understand the issue. 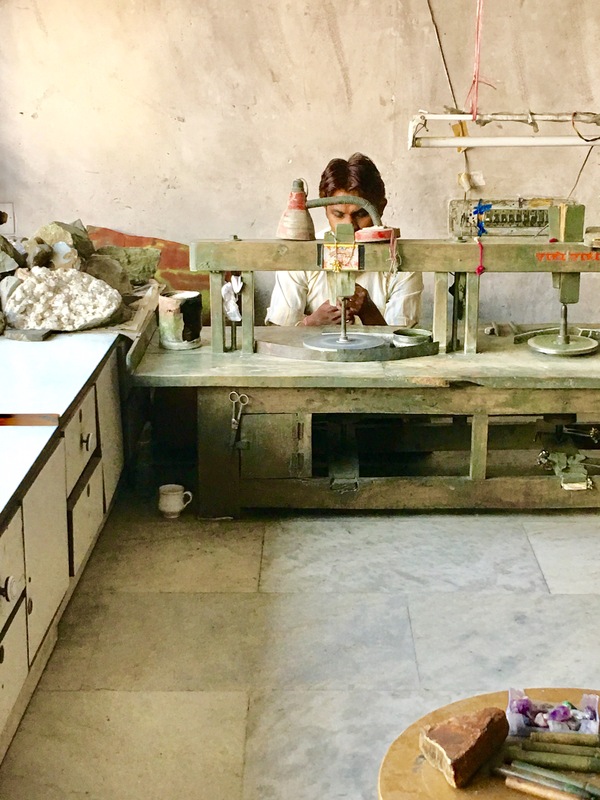 There was an epidemic of counterfeit money in circulation and also only 2-5% of people in India paid taxes. Many people (especially politicians and business owners) had large stockpiles of cash they did not pay taxes on or, “black money.” So the government, in an effort to force people to pay taxes and remove counterfeit money from circulation decided to invalidate all existing 500 and 1000 Rupee bills, opting to redesign and circulate new bills. If people had the old bills, they were allowed to go to a bank and deposit them only, otherwise they were worthless. This is a fine idea to fight corruption; however, what this did was pull 85% of their cash out of circulation without having replacement currency ready to put into circulation. The people did not want to bring their old bills into the bank because they hadn’t paid taxes on it and were concerned about repucusssions for this crime. This caused a crazy cash shortage because the new bills hadn’t been printed at appropriate levels. 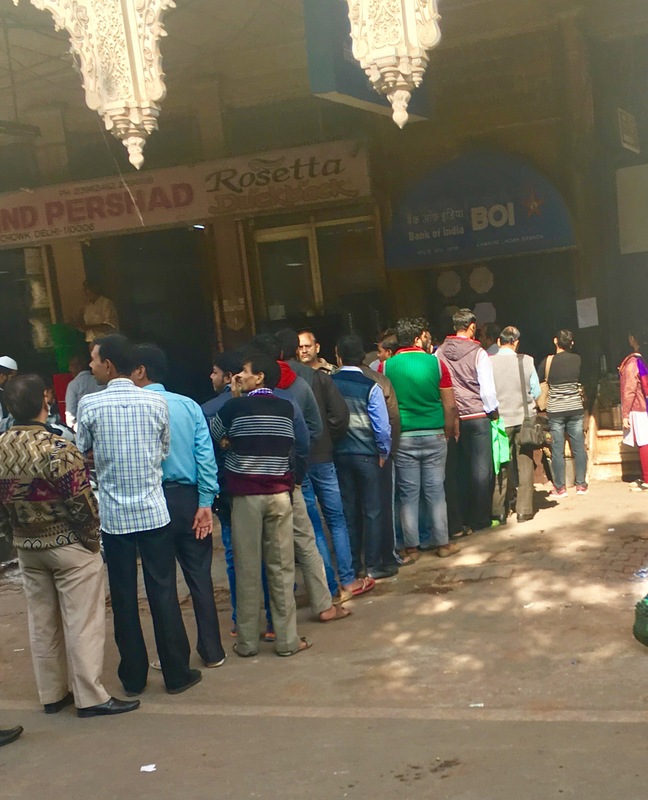 Most ATM’s were completely empty and when you were able to withdraw cash, the limit was only 2000 Rupees a day, equivalent to about $30. If we ever happened to drive by an ATM that had money, there was a line of 25-50 men waiting with 4-5 cards each. My sisters who were coming from the US were not even able to withdraw any Indian money in the three weeks they were there. 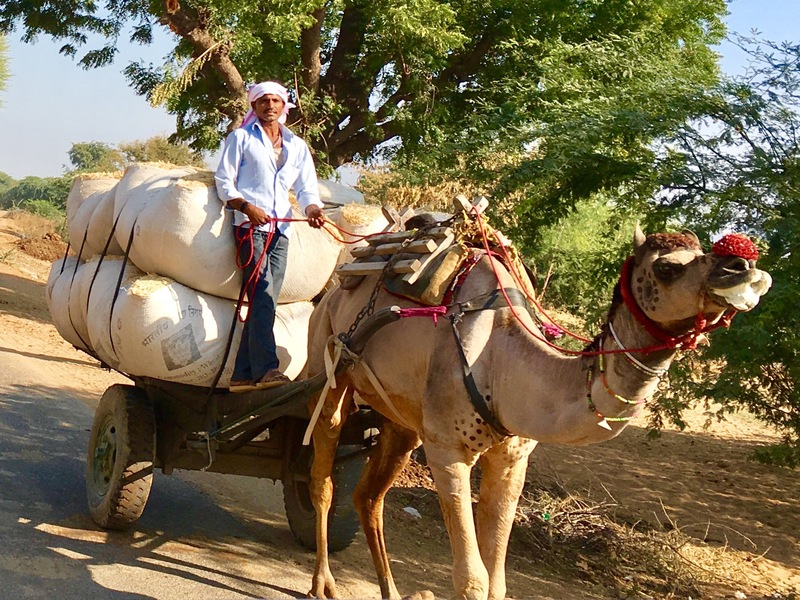 Fortunately, during our time in Rajasthan our guide, Banwhar, told us that women were allowed to go to the front of the line. So in the rare event that we found an ATM that had cash, he would go up to the long line of men waiting and talk to them. Eventually, they would let me go to the front and get money. I later learned when we switched guides that this isn’t true. So I think Banwhar, somehow just talked the people into letting me go to front in some way. 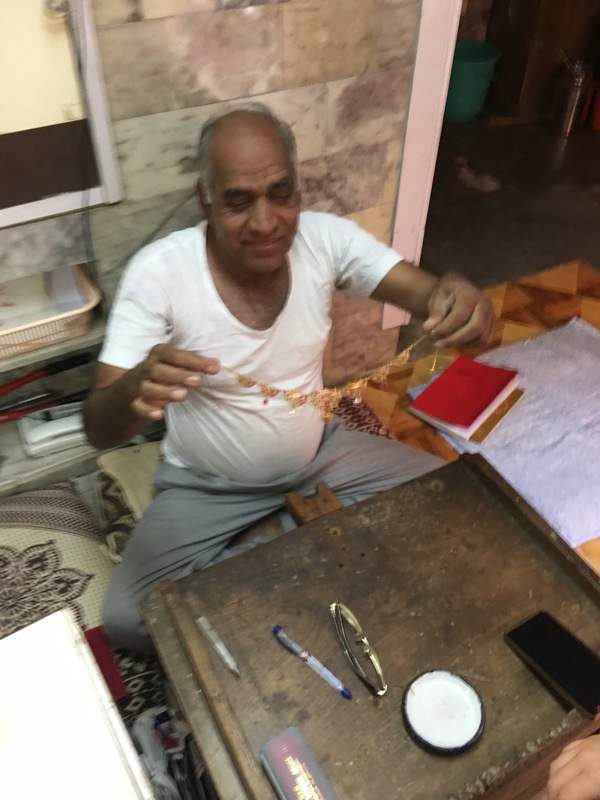 I am very thankful to him or we would not have been able to get any money while we were there! The other major problem we ran into that had to do with the bureaucracy was at the airports. We had to have our tickets checked at least 5 times as we traveled through the airport. This, along with other inefficiencies, caused us to barely make connecting flights even with 2 1/2 hours in between. In fact, when Julie and Chrissy were on their flight home, their connecting flight was delayed prior to their final flight home. Because it takes so long to get from one part of the airport to the next, they missed their flight home and had to buy new tickets to get home by Christmas! 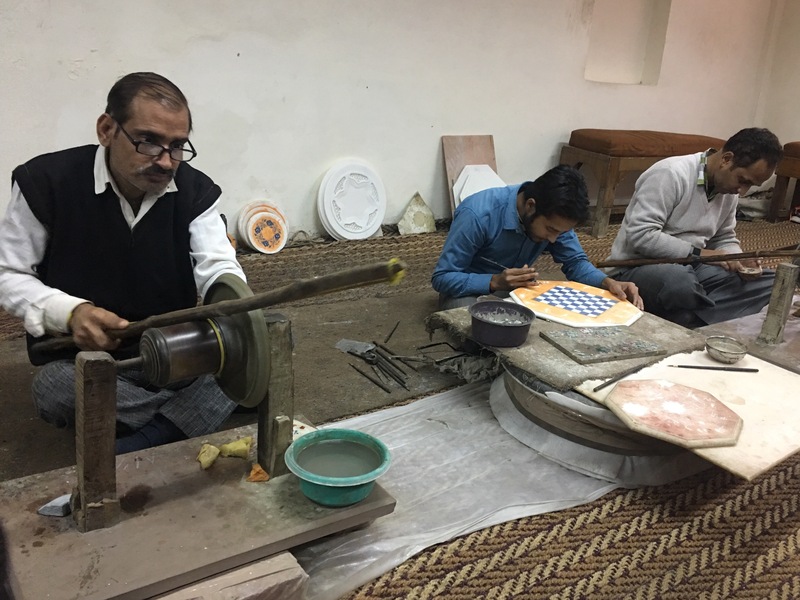 The people of India are incredibly talented and while we were there we were able to be the beneficiaries of these varied talents. 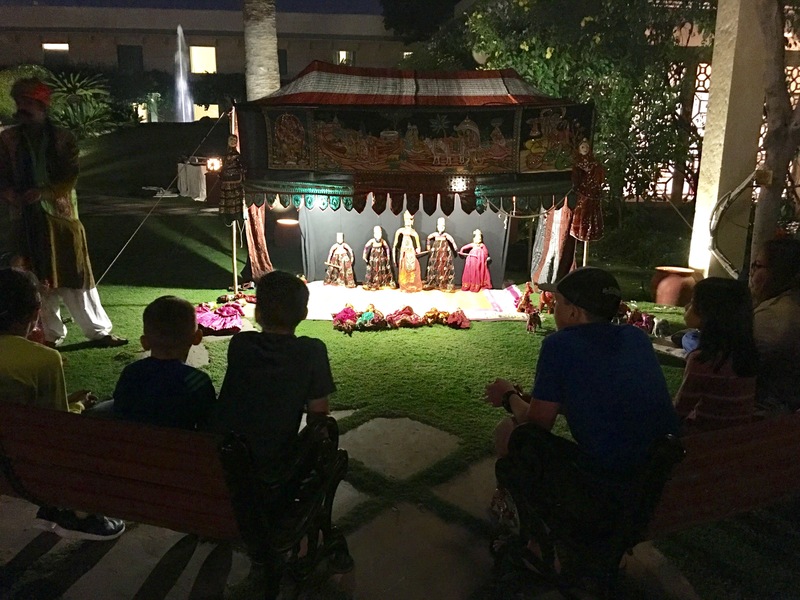 Whether it was live music, dancing, puppet shoes, or their incredible skills at making hand-crafted goods, we were able to witness so much. One really fun thing about having my sisters there was that although we don’t buy souvenirs (no room in our backpacks!) they had no such limitations! 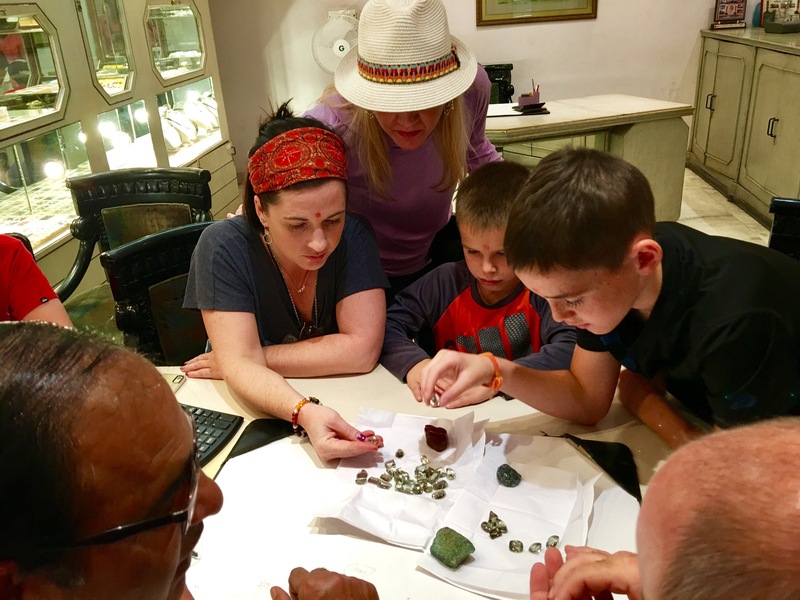 It was exciting to encourage them to buy lots of fun things to bring home with them. How could you not with all the amazing deals that we saw everyday! 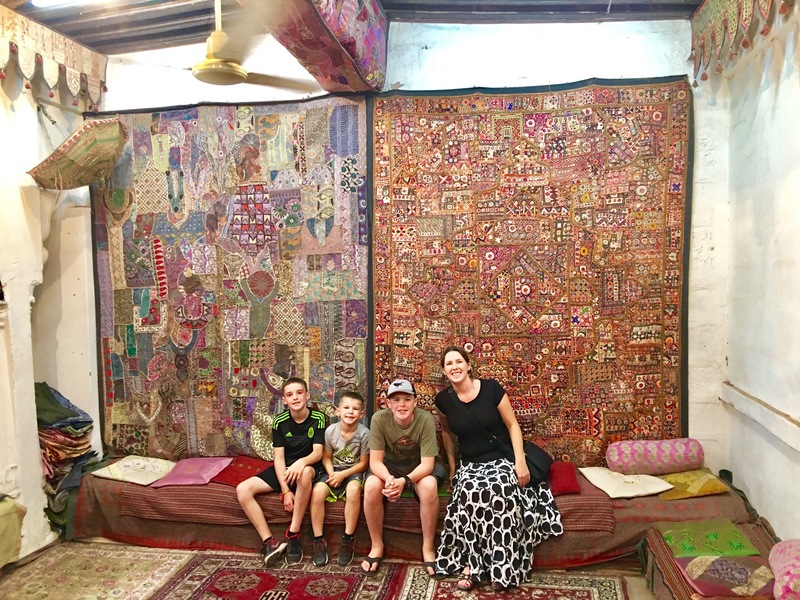 Julie bought a beautiful rug! Tyler helping in the rug making! 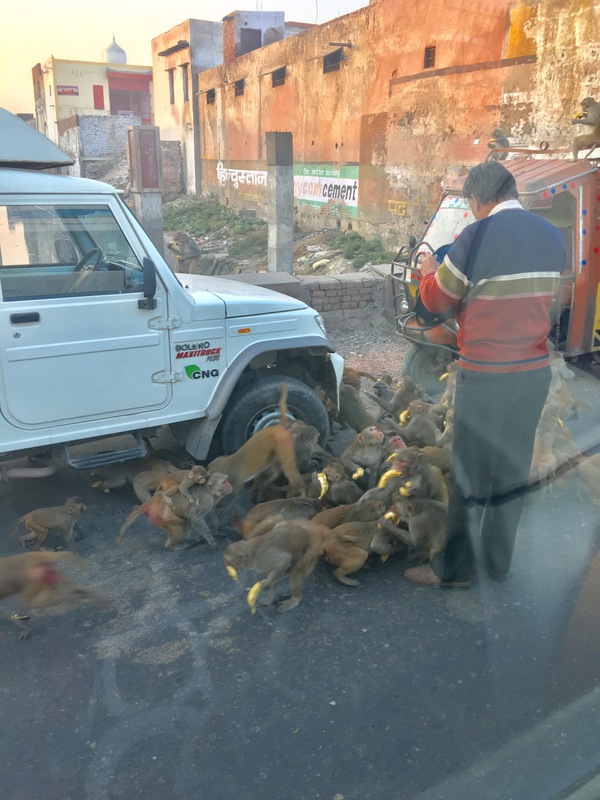 I was pretty nervous about the food before we arrived in India. 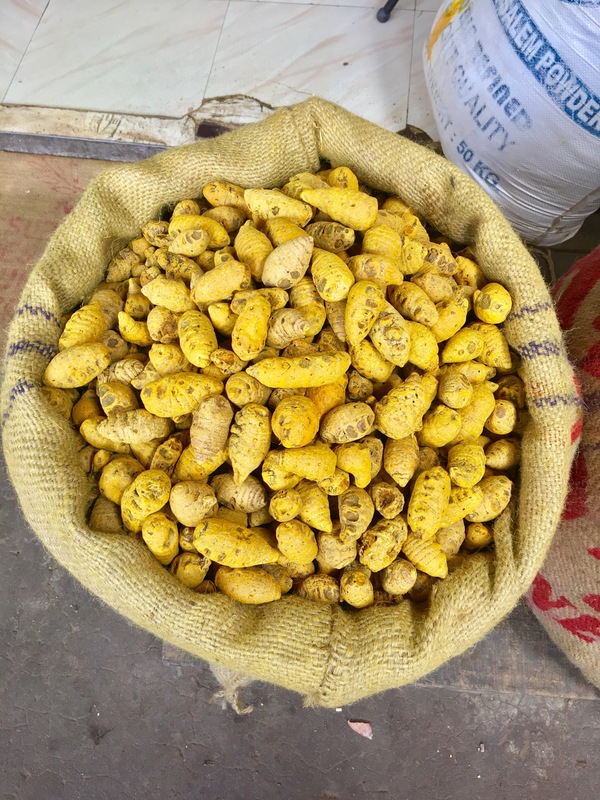 Not only the safety (we had heard terrible stories of Delhi belly), but if we would like the taste of it at all. We thought the bright side was that we would maybe at least lose some weight while we were there, either from sickness or not eating anything! 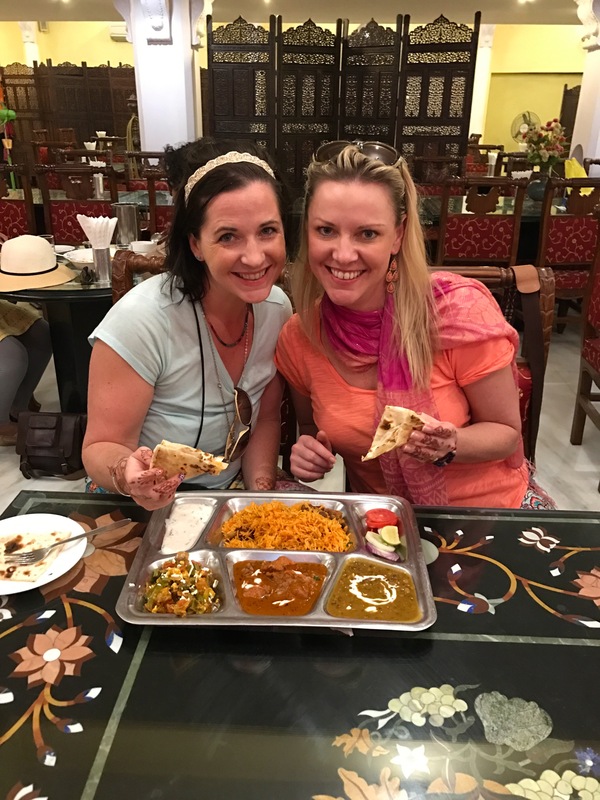 Despite our hesitation at first, we were pleasantly surprised by how much we loved the food! Luke was his regular self and mostly just ate naan and rice, but at least he was eating, and the rest of us really liked it! The boys also loved that they were free to, even encouraged to, eat with their hands! The best part was that besides one or two days of little stomach upset for me, everyone else stayed perfectly healthy! 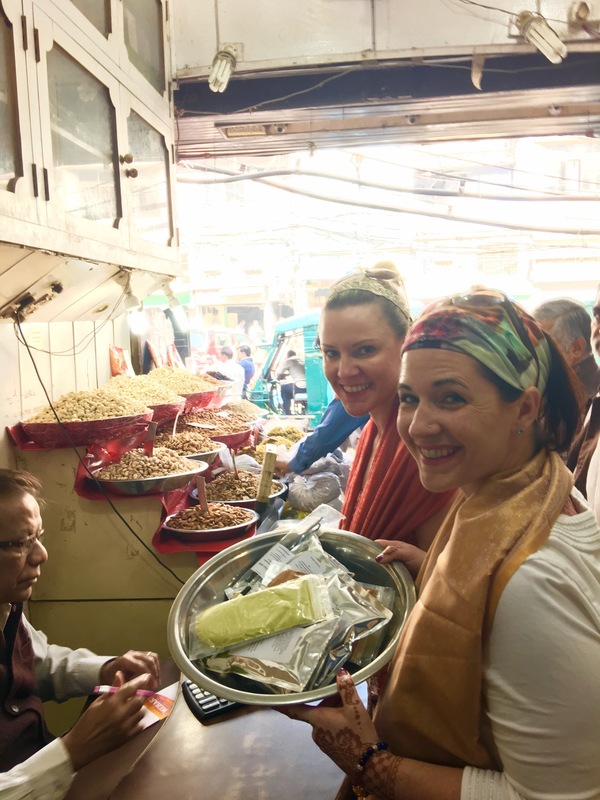 We didn’t just eat the food, we also really enjoyed seeing the spice market in Delhi. 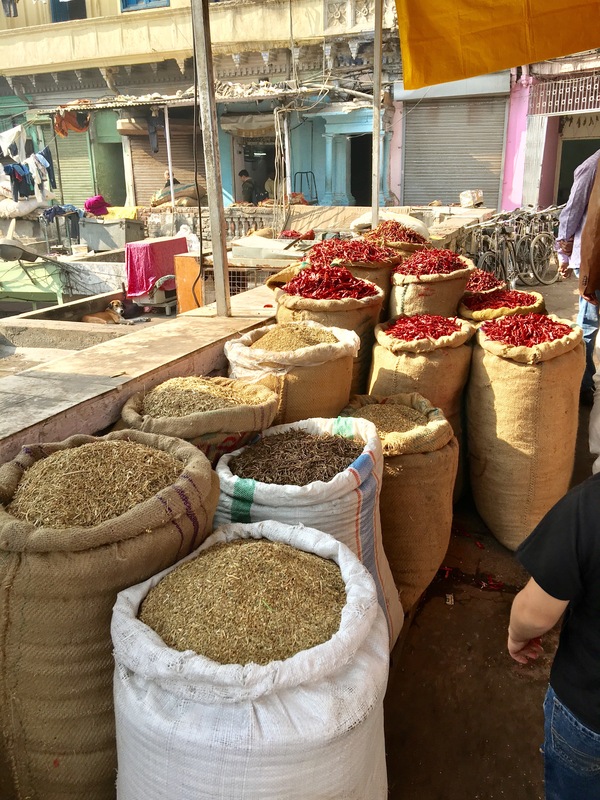 It was unreal walking through these crowded narrow passageways thinking that these spices in a few weeks or months would be packaged up and sent away to grocery stores in America. Julie and Chrissy stocking up on spices and tea to bring home. 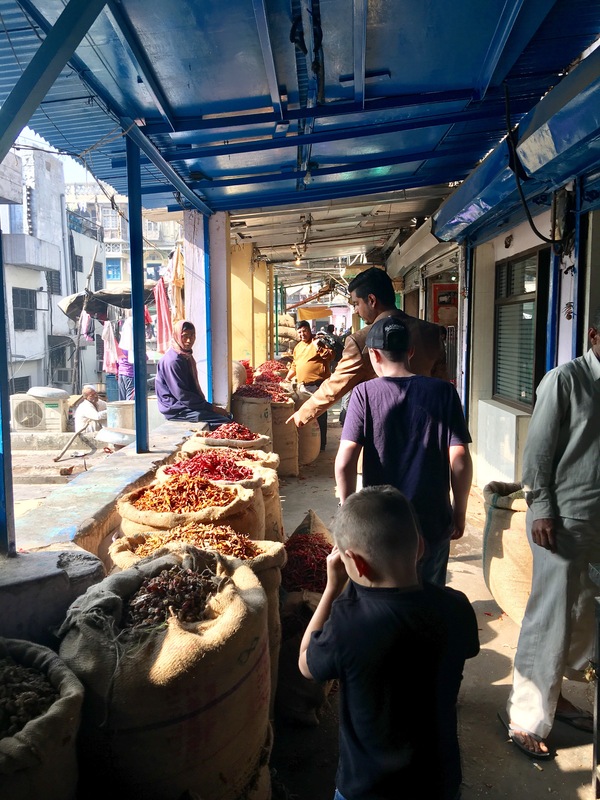 Just walking through made our throats and eyes burn because of the particulates in the air from all the spices. We would have to pull our shirts over our mouths to help us breathe normally (see Luke above). 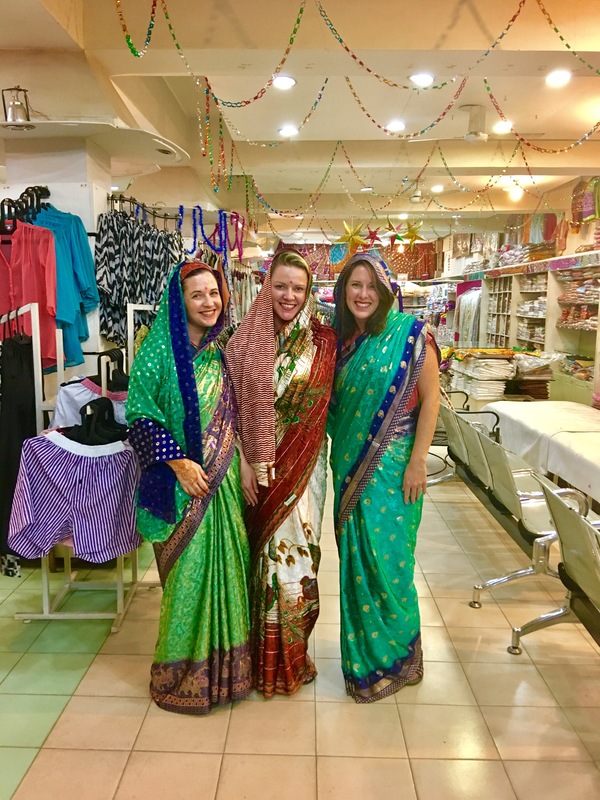 Perhaps my greatest take away from my time in India was a greater understanding of the different religious and cultural traditions there. 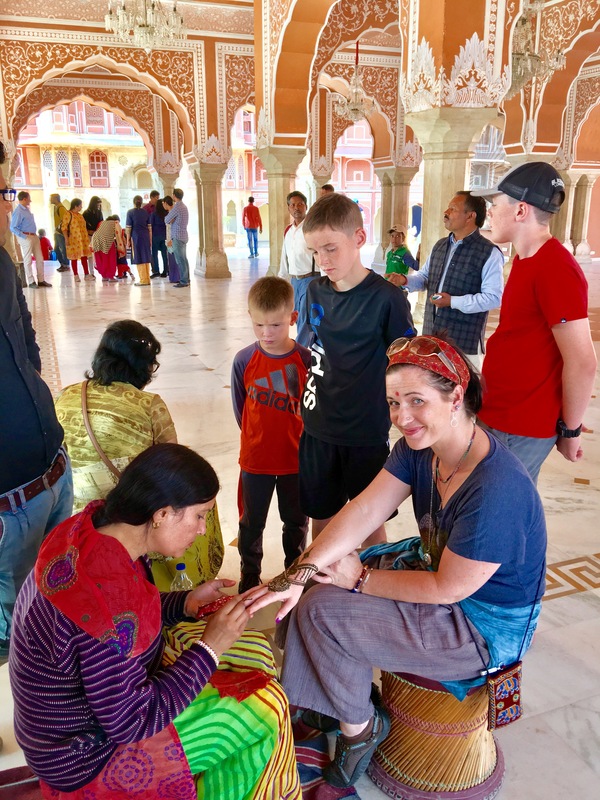 It is difficult to sum up a whole religion in just a few words, but we were able to have positive experiences learning about and gaining a greater understanding of these beliefs while visiting their temples, talking with believers, and doing our own reading and research. 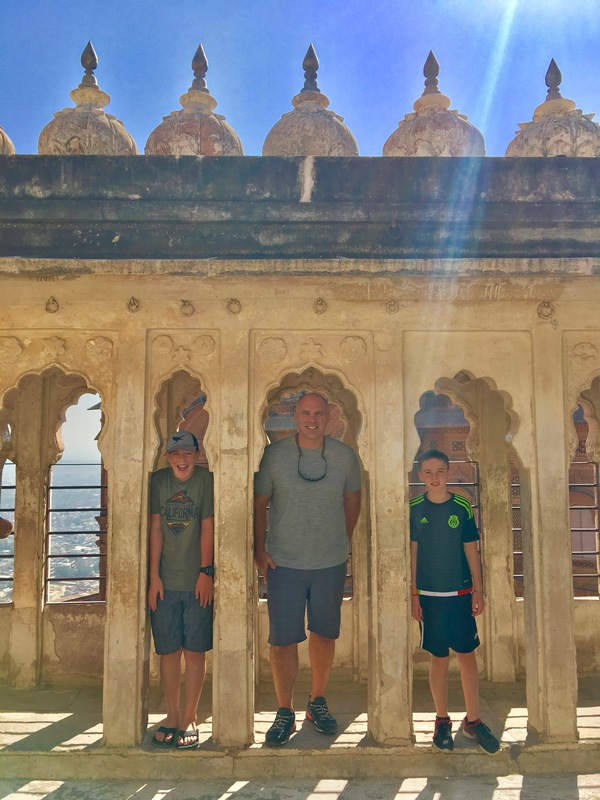 I am happy that we had the opportunity to teach our boys and ourselves more about how a huge portion of our world lives. 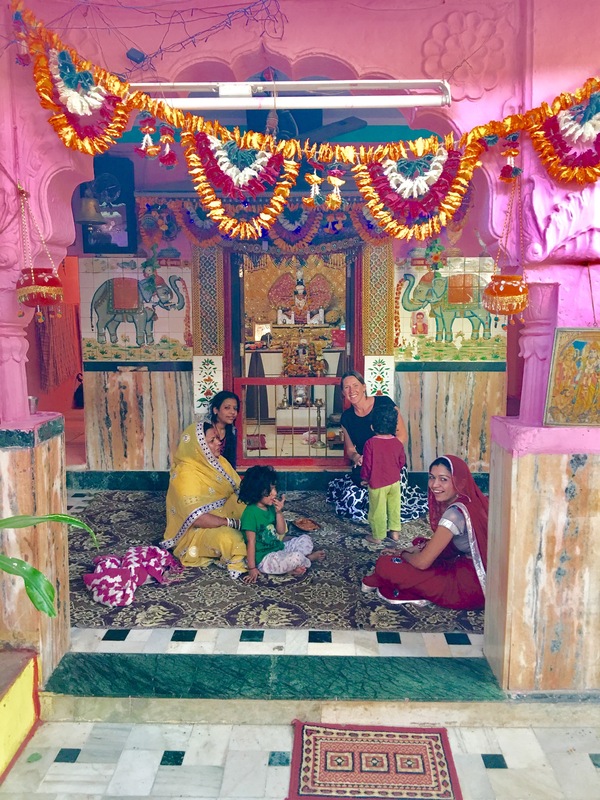 It was explained to us while we were in India that Hinduism is not a religion per se, but a way of life or a culture. There is no founder and it pre-dates any recorded history, but if it were considered a religion it would be the third largest in the world. 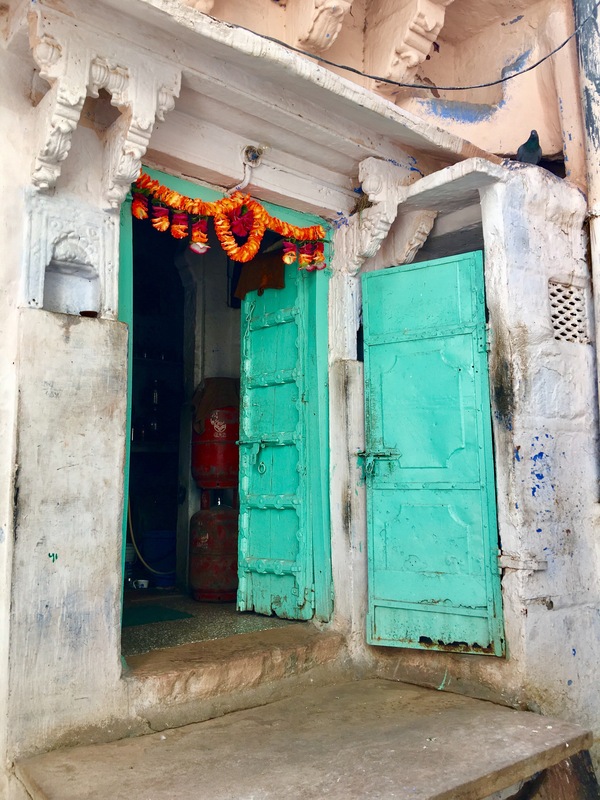 As there are many different varieties of Hindu traditions there is a freedom of belief and practices that is commonly accepted. 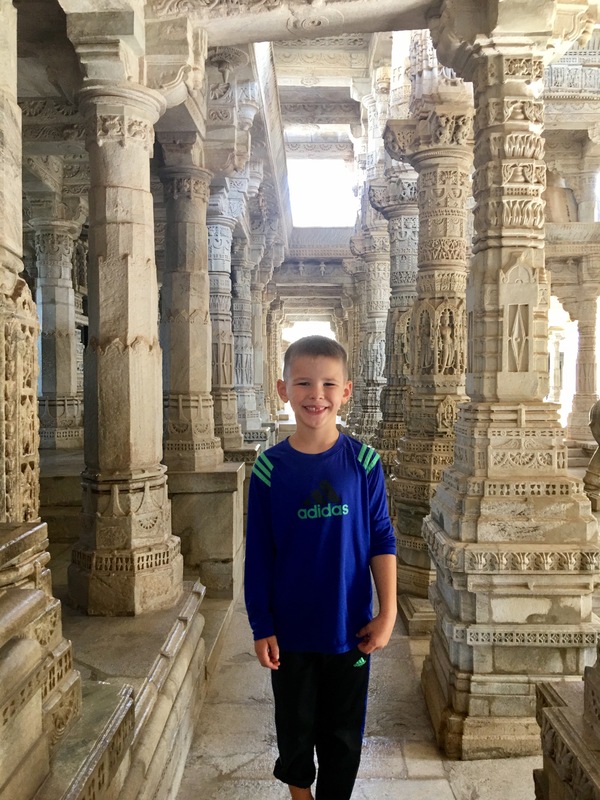 One misconception we had coming in was that they believed in many gods as evidenced by the many different statues of gods you can find in their temples and literature. 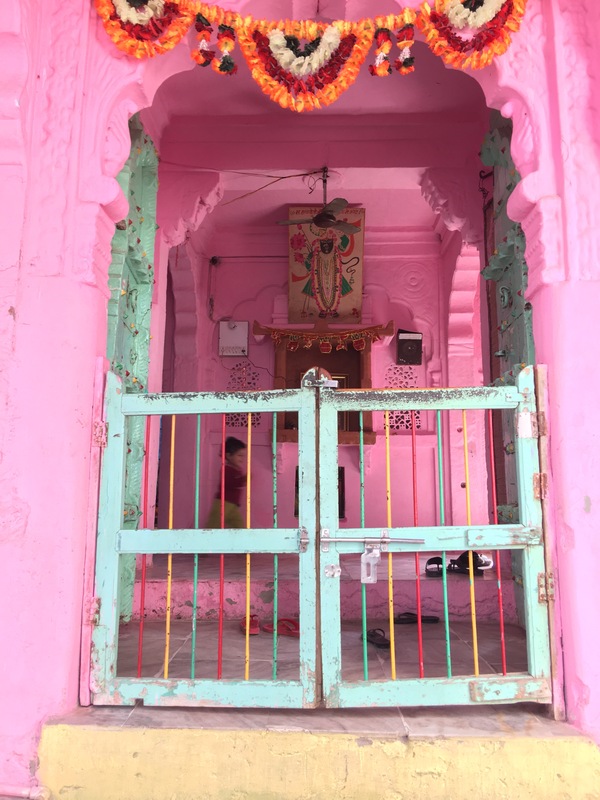 We learned that Hindus actually only believe in one single deity while all other gods and goddesses are actually just manifestations or aspects of the one supreme God. 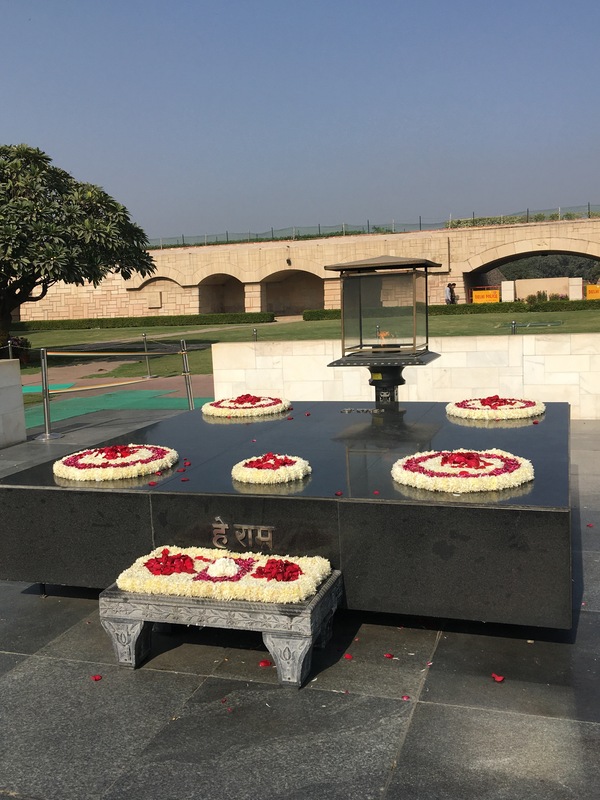 Location where Ghandi was cremated. A memorial has been erected here to honor him. Buddhism is a religion based on the teachings of Siddhartha Gautama who was a Hindu living about 2500 years ago in what is now Nepal and Northern India. He became known as “The Buddha,” which means enlightened one. He didn’t teach people what to believe, he taught them how to become enlightened themselves. Buddha is not considered a God, in fact Buddhism is non-theistic, The Buddha taught that believing in gods was not useful to enlightenment. There are approximately 350 Million Buddhists in the world, although the number is hard to judge because there are many practicing Buddhists in communist countries like China that can’t openly adhere to the teachings. 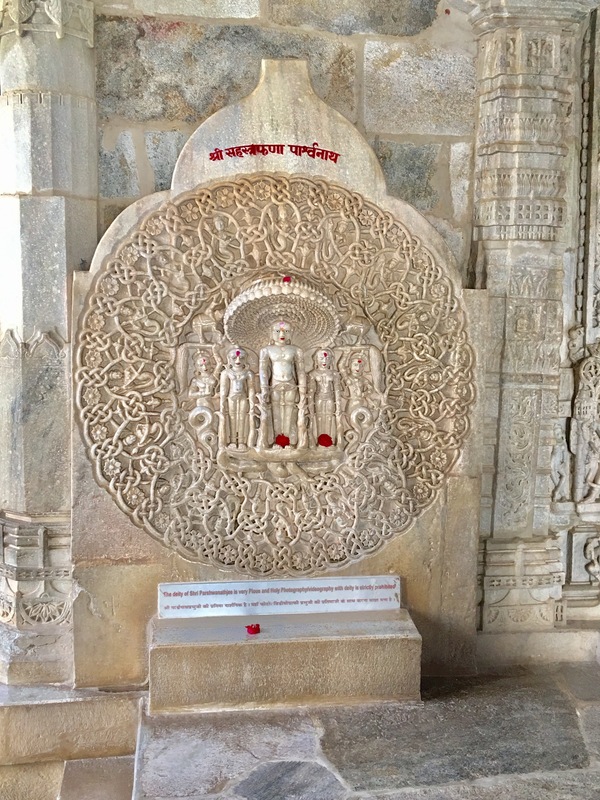 Jainism dates back to the 6th century BC, about the same time as Buddhism. 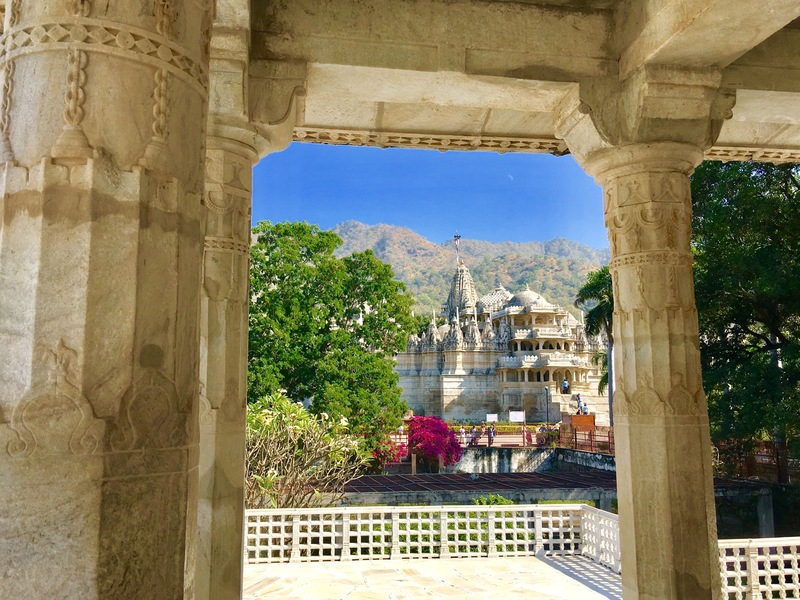 There are only about 3 million Jain in the world. 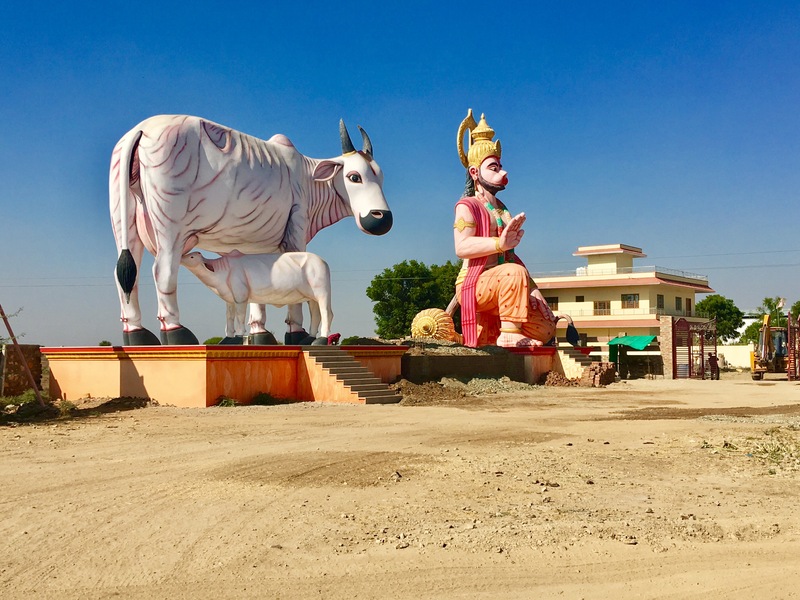 Jains believe in a strict policy of non-violence so they are vegetarian and they aren’t even involved in farming because insects could be injured in the plowing. 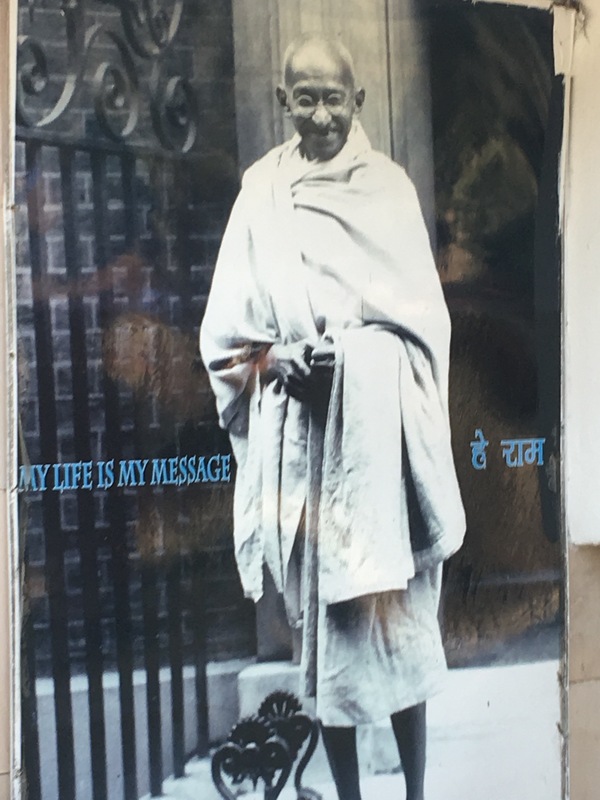 Besides non-violence the other Five Vows are truth, non stealing, chastity, and non possession. 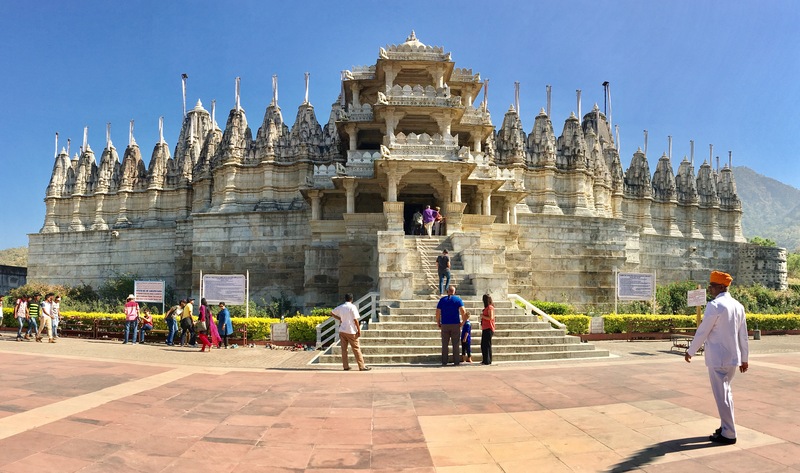 We were able to go to one of the largest Jain temples in India. 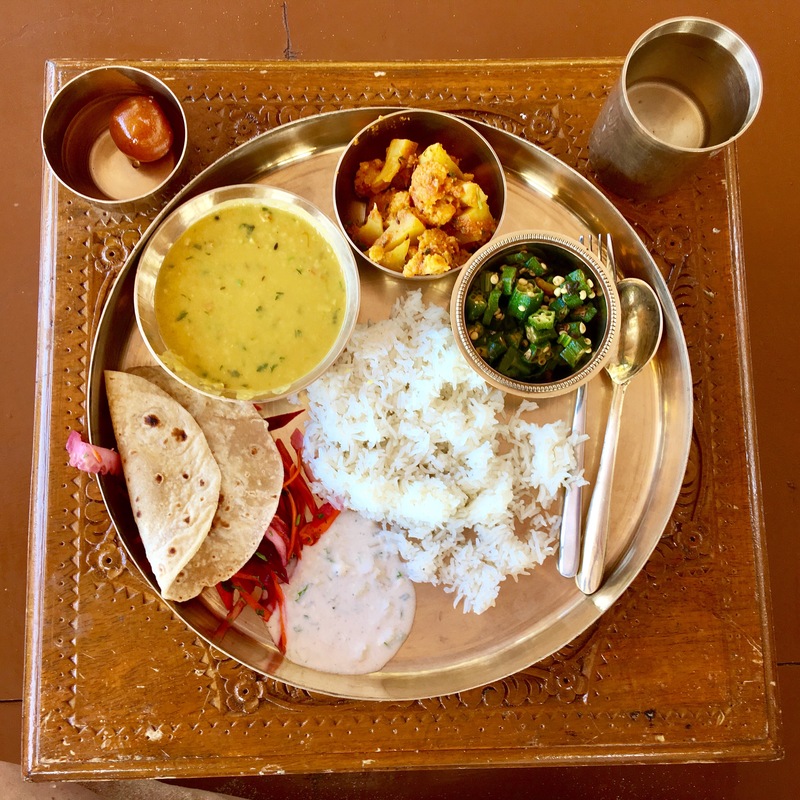 When the faithful Jain come to the temple they are provided with a place to sleep and food to eat during the stay. It was very beautiful and interesting to learn about their beliefs. 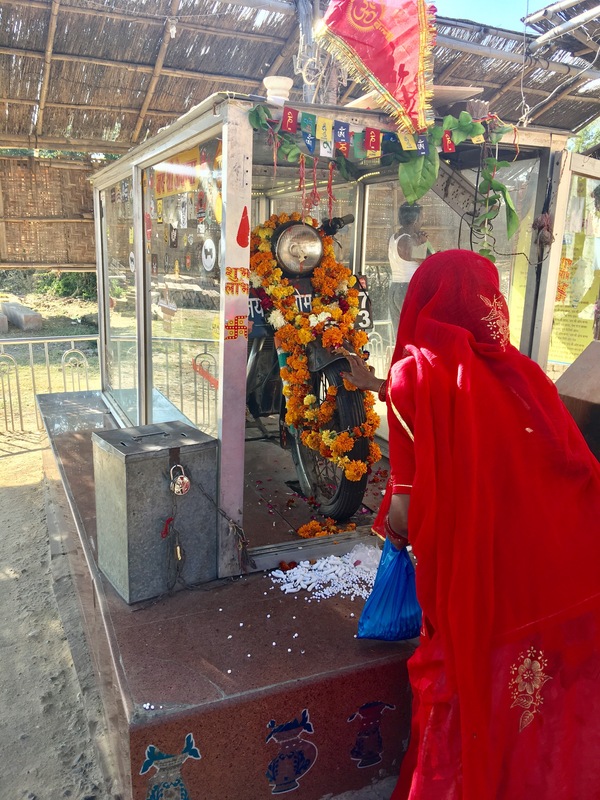 Sihkism is the fifth largest religion in the world with almost 30 million members worldwide with the largest concentration of them being in the Punjab region in India. 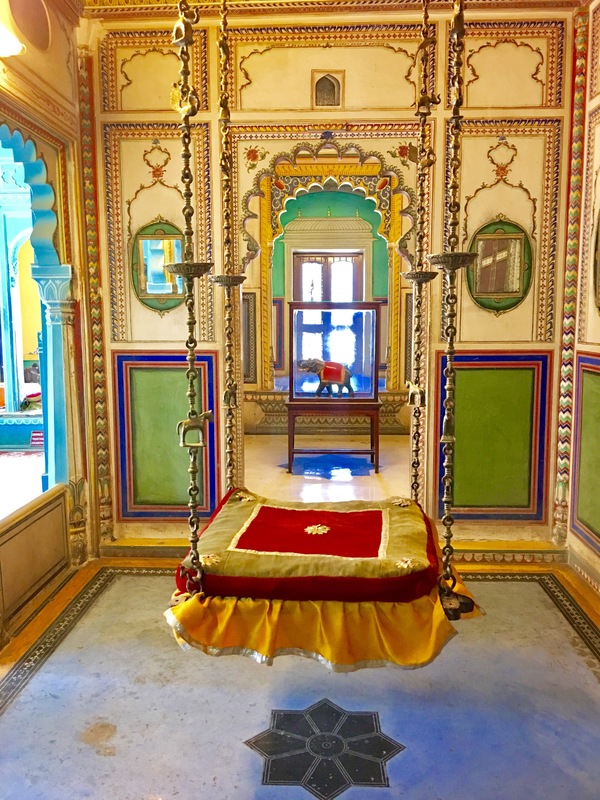 Sikhism was founded in the 15th century and broke from Hinduism in part because of its rejection of the caste system. There are 5 things that a Sikh will always wear. Kesh, or uncut long hair covered by a turban. Some women do not cover there hair. A kangha. A small wooden comb to comb their hair twice a day. 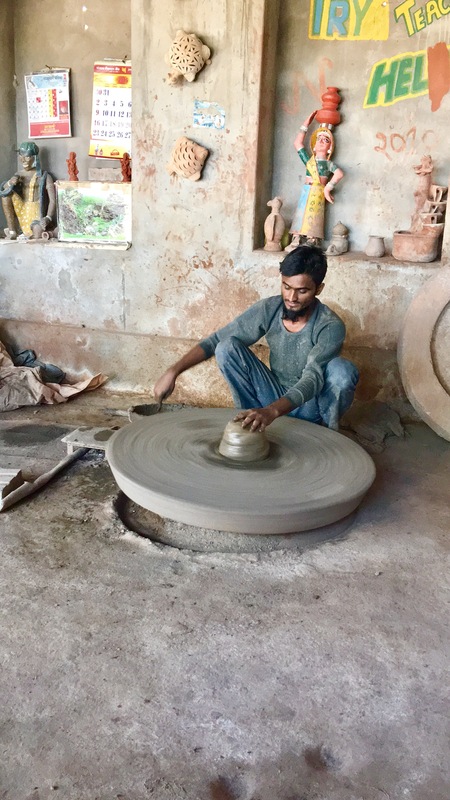 A kara. An iron bangle worn on the dominant hand. 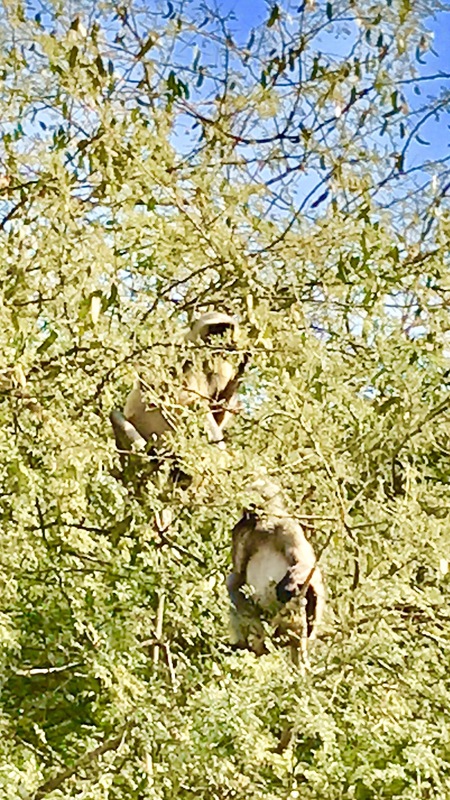 A kacherais. A specific undergarment for men and women. A kirpan. A short dagger. 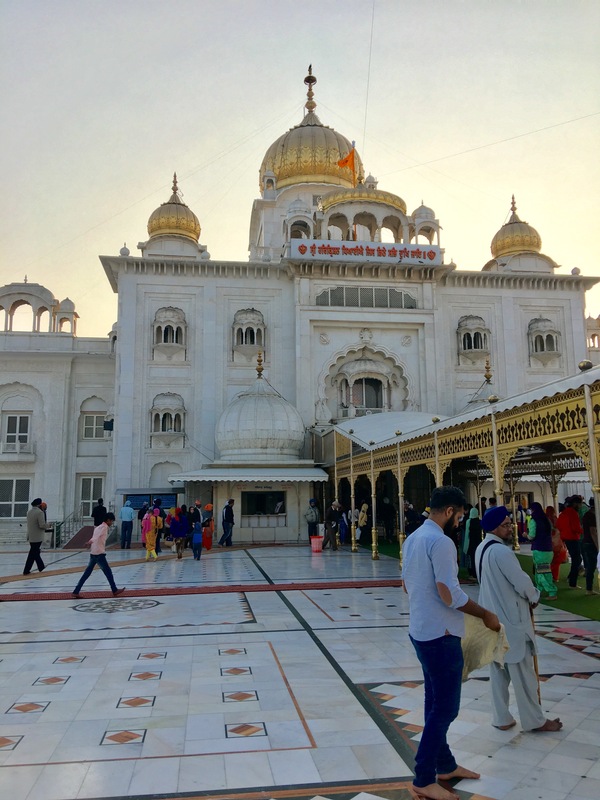 While in Delhi we had a chance to visit a Sikh temple. 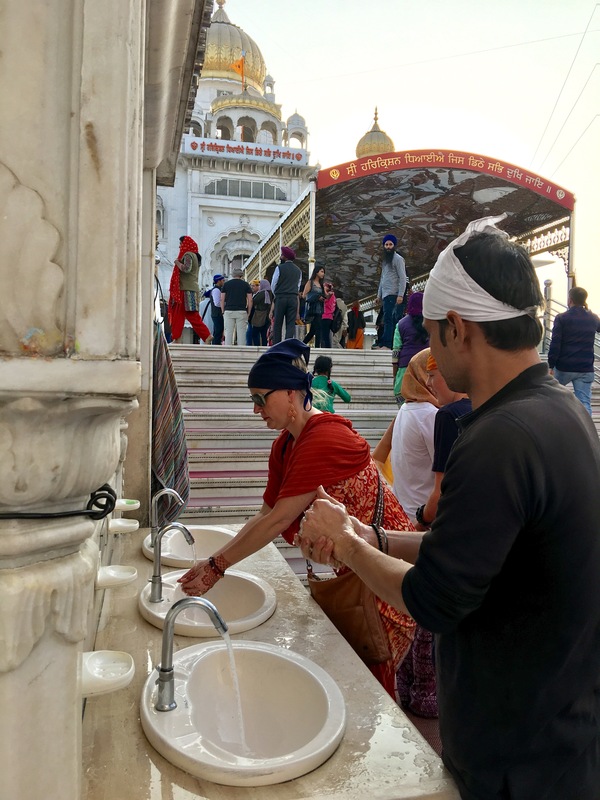 Anyone can go in if you wash your feet and hands first and cover your head. It was explained that Sikh’s consider themselves protectors. 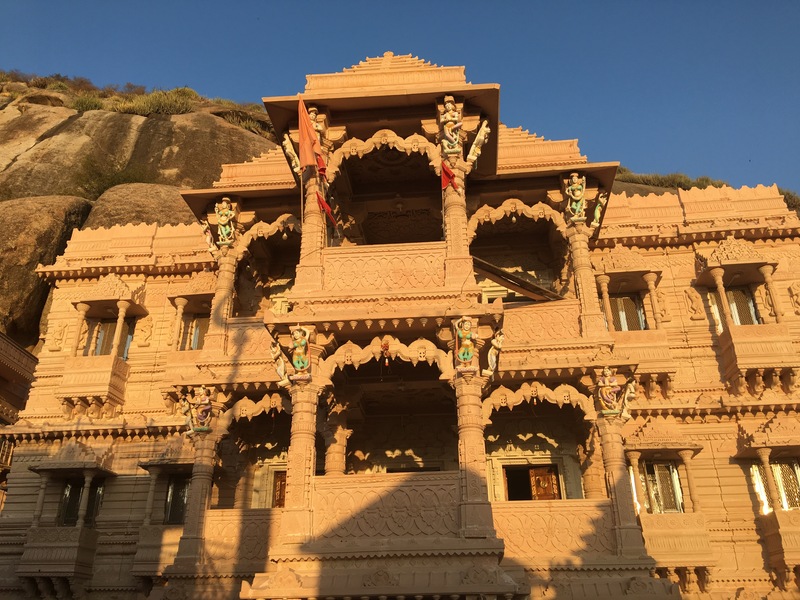 Half the space was used for a temple and the other half was used to feed thousands of people who needed food everyday. 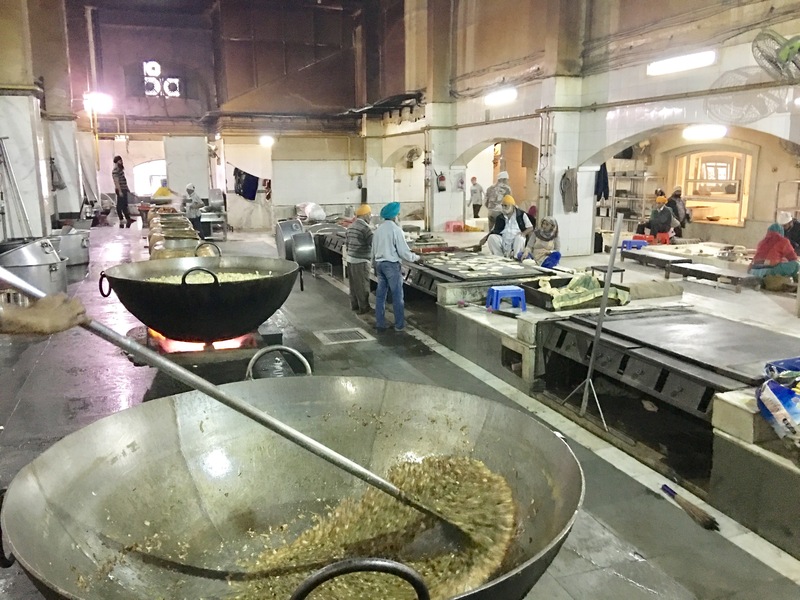 There was a huge kitchen with pots cooking food and a large room where we saw hundreds receiving a much needed free meal. Julie washing her hands before going in. We were asked to cover our heads while in the temple area. The water behind us is considered Holy Water. Islam is the second largest religion in the world having 1.5 billion followers. 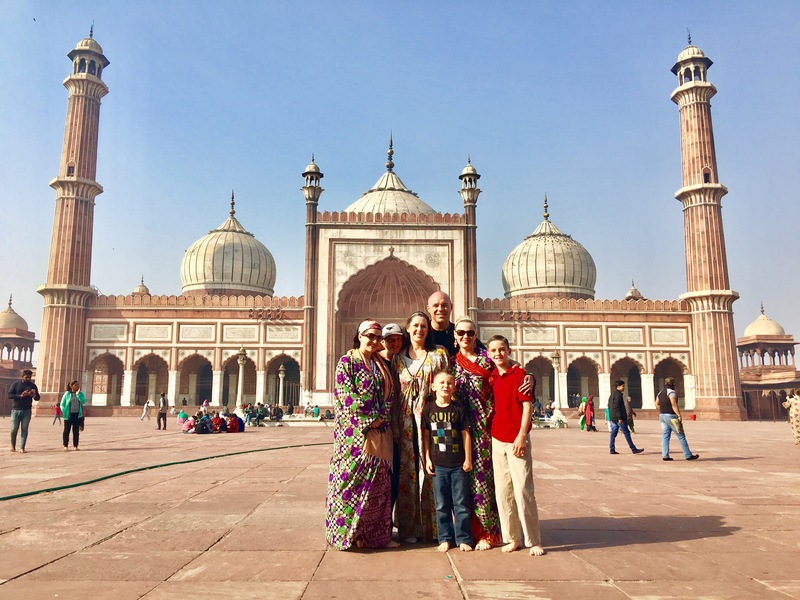 We did have a fundamental understanding of Islam before going to India, but what we didn’t know was that there was such a large portion of Muslims living in India. They make up about 15% of the population and there are over 184 million Muslims who live in the country. 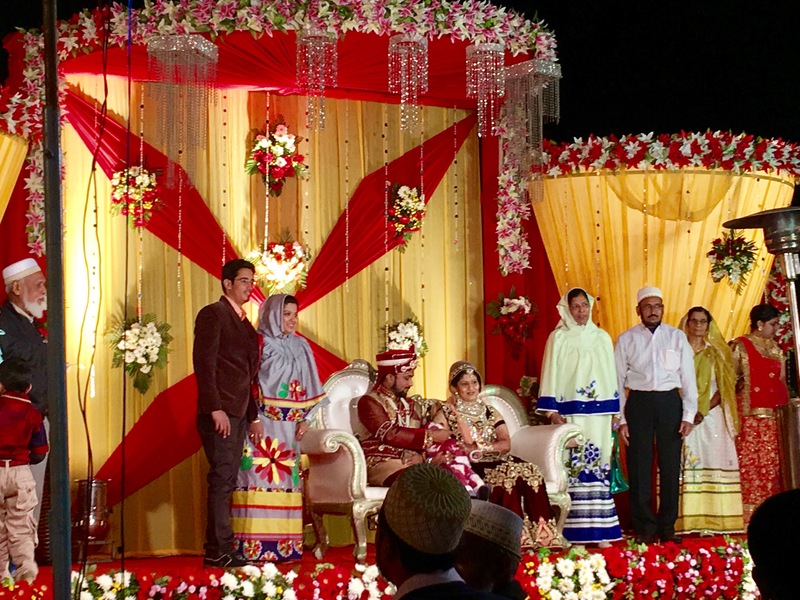 We were able to attend part of the celebration of a Muslim wedding while we were there, which was an incredible opportunity. 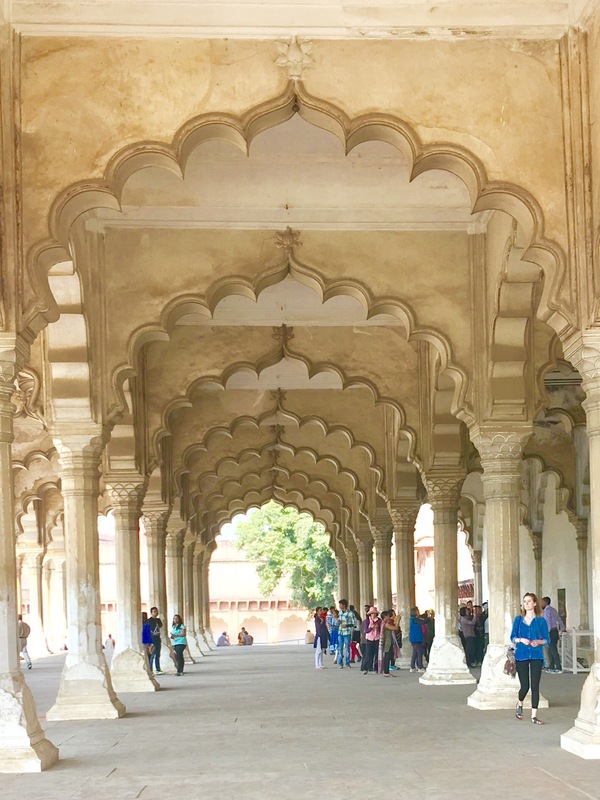 Jama Masjid, one of the largest mosques in India, was built in 1656 and still stands today. It can accomadate over 25,000 people at one time. We were given these lovely gowns to cover while we were visiting the mosque. 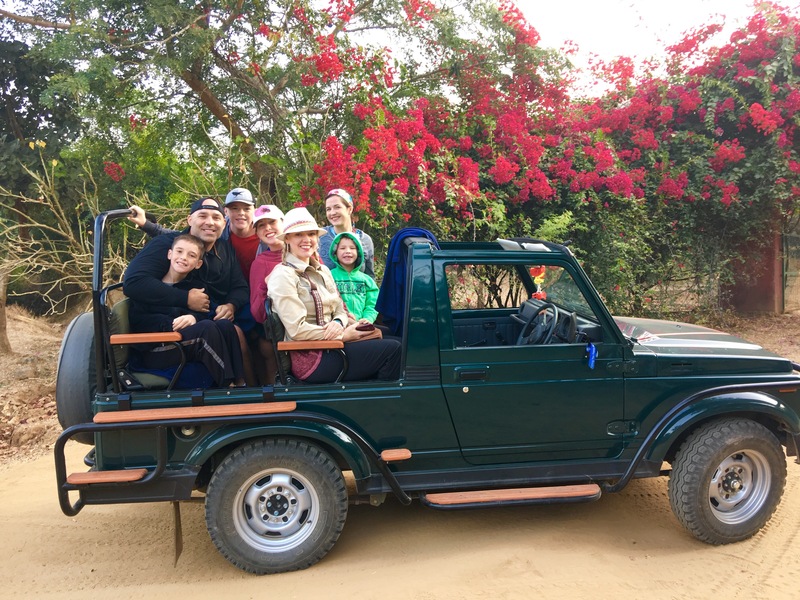 We were all very excited to go on our first safari to find a tiger in the wild! 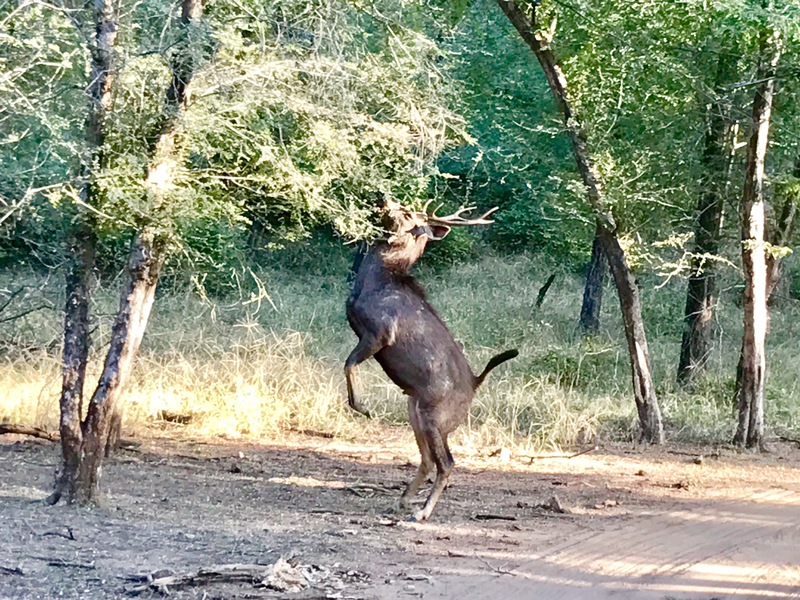 Unfortunatly, wild animals don’t always do what we want them to, and we didn’t see any while we spent a few days in Ranthambore. 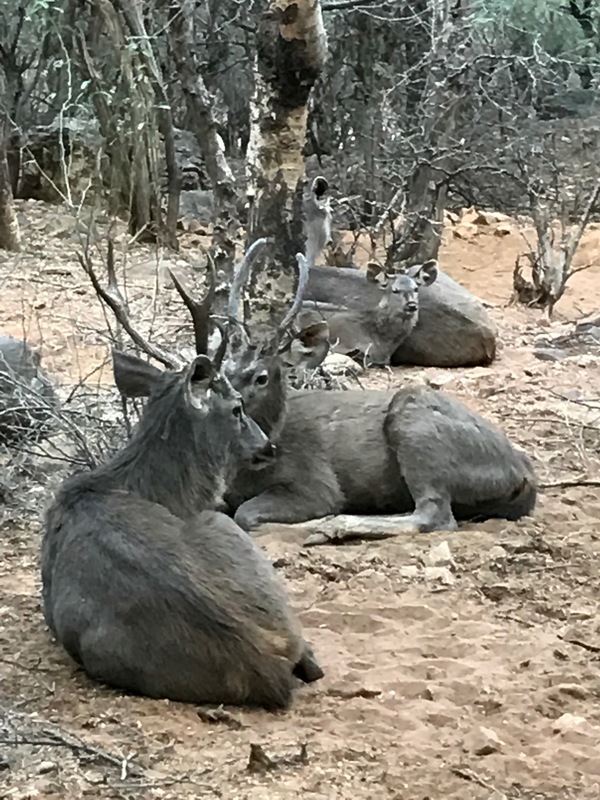 We did, however, get to see a recent kill and a variety of other animals as we drove through Ranthambore Tiger Reserve. 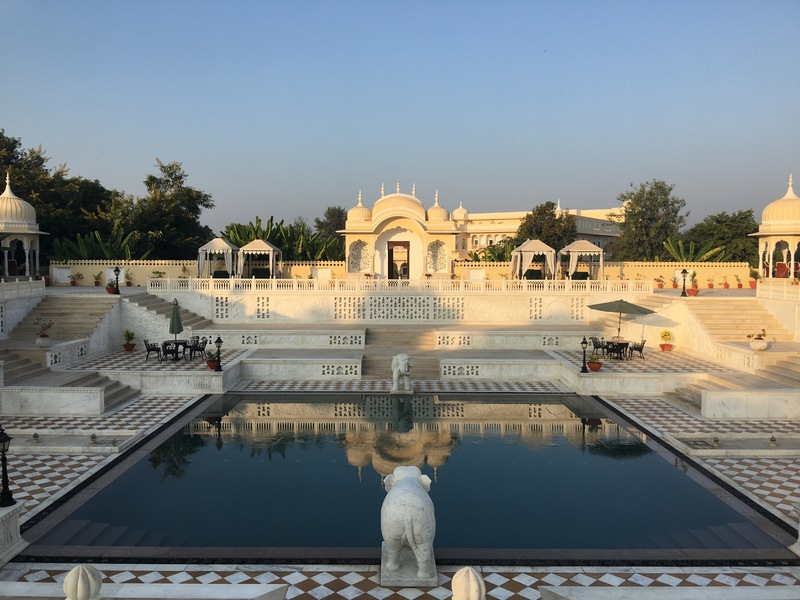 While the lack of tigers was somewhat disappointing, we were comforted by the fact that we got to go back and spend the day relaxing at our gorgeous hotel. 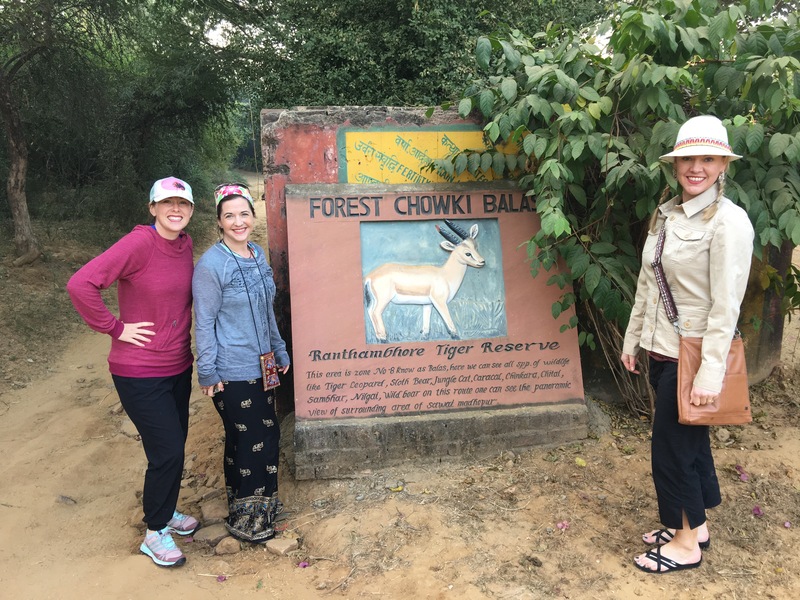 It was so beautiful and we all felt like, tigers or not, this was a fabulous place to stop for a couple days to relax. 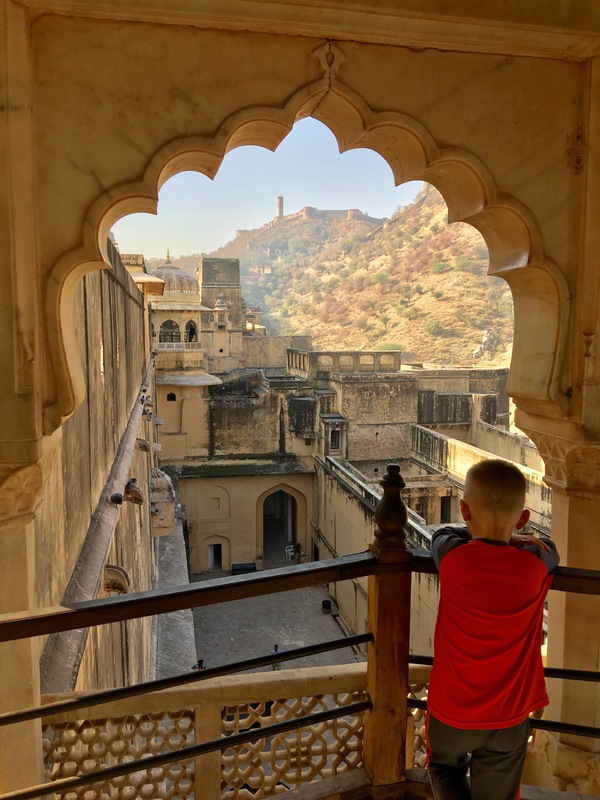 During our time in India, if we were in a restaurant or building and the TV was on, you can bet they were watching cricket. 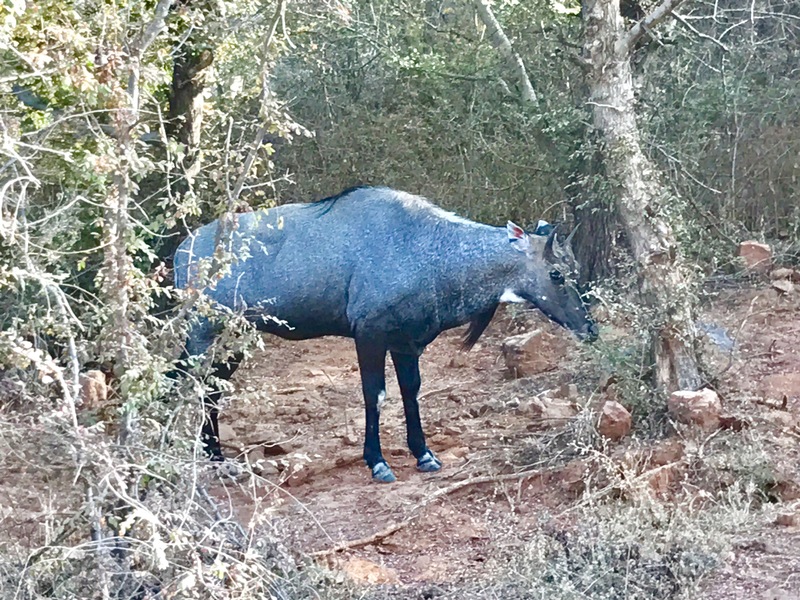 We really didn’t know anything about the sport, but over the weeks there (and in South Africa) we started to pick up on some of the rules. 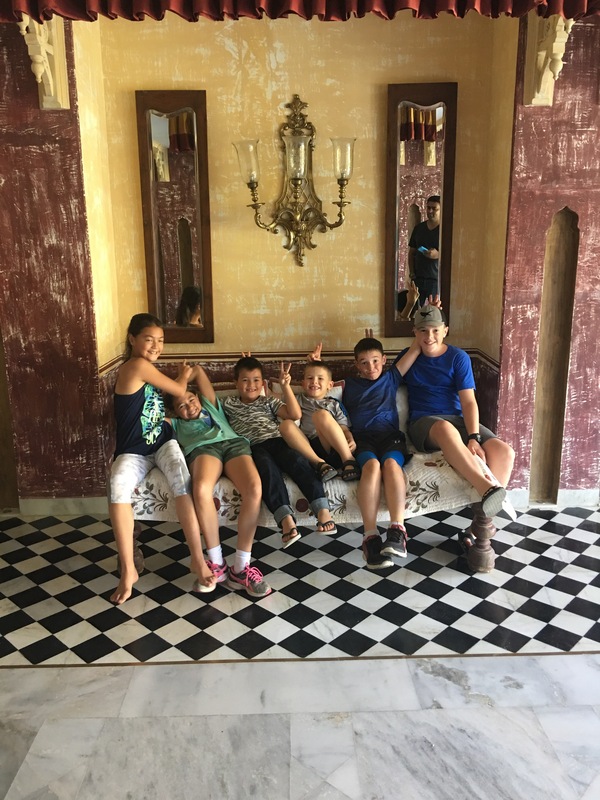 While we were staying in Narlai, the kids made friends with a family from Singapore whose guide had previously played cricket for the Indian National team and was willing to teach them. 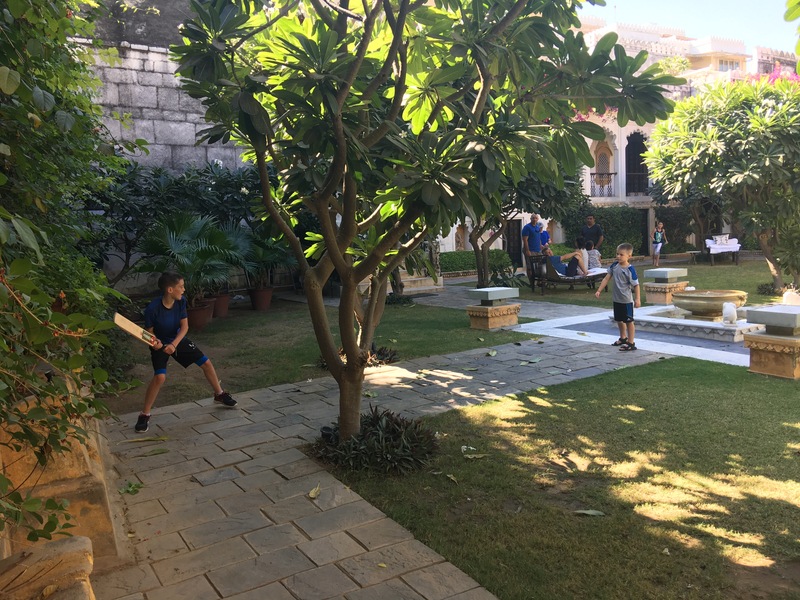 So the boys had a lesson in cricket and we finally (sort of) understand what is going on. 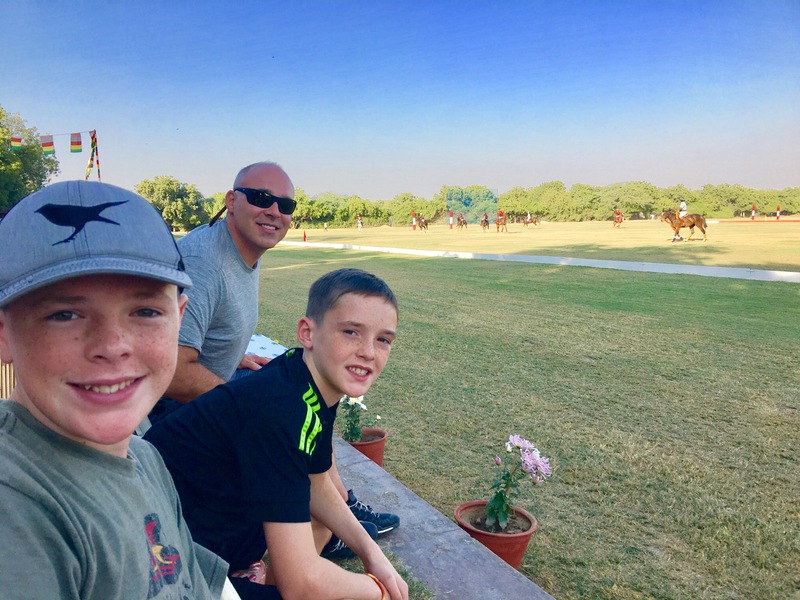 Another favorite sport in India is polo. 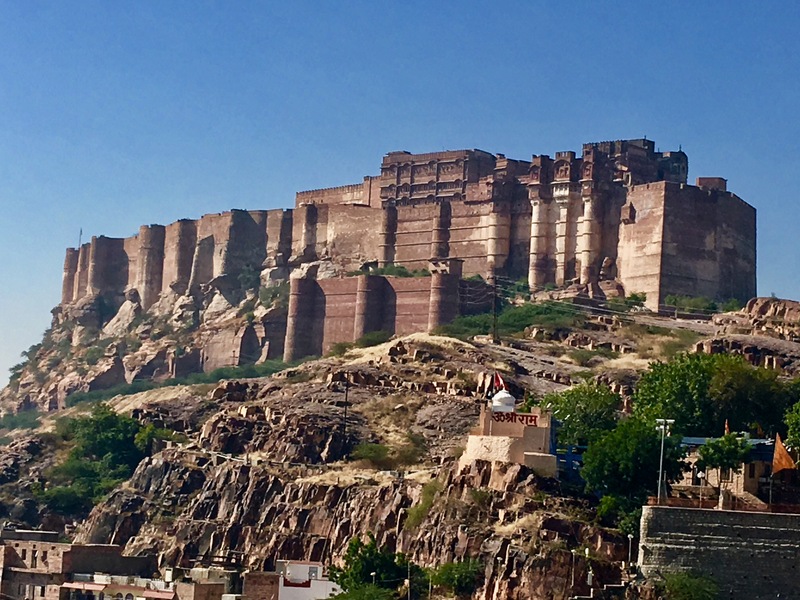 There was a large tournament going on while we were in Jodhpur and we were able to go to a game. Although we only caught the end of it, it was very exciting and fast paced to watch! 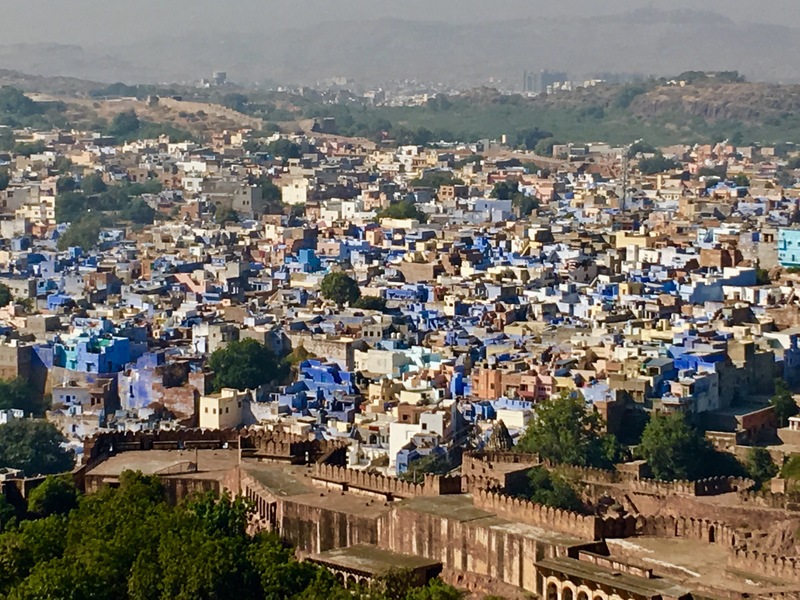 When we were in Jodhpur, often called “The Blue City” we were able to go on a tour through the local neighborhoods. There is no crime in the area so all the homes are open and we were able to go in to see how the people live. 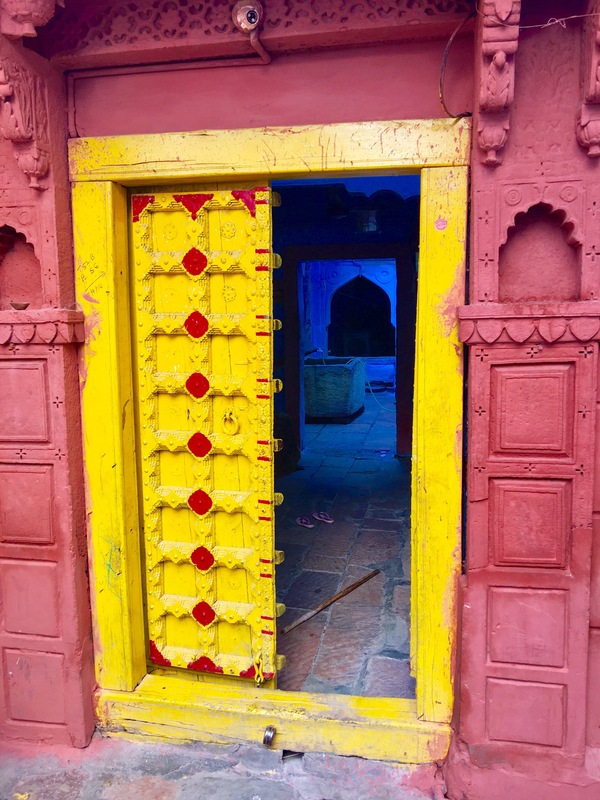 I loved seeing all the bright colors, beautiful doors and homes as we walked through. 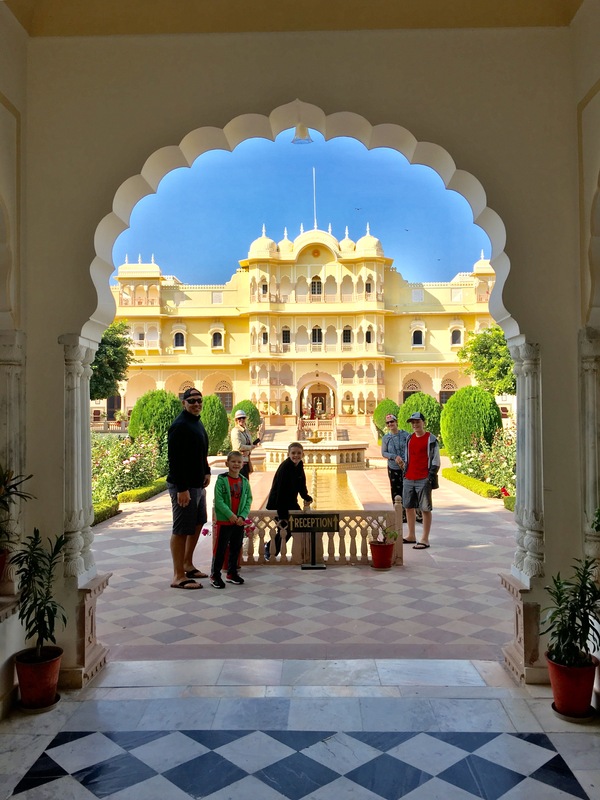 When India became a democracy, the royal families were “asked” to give up half their palaces for hotels and museums and they were able to keep the other half. 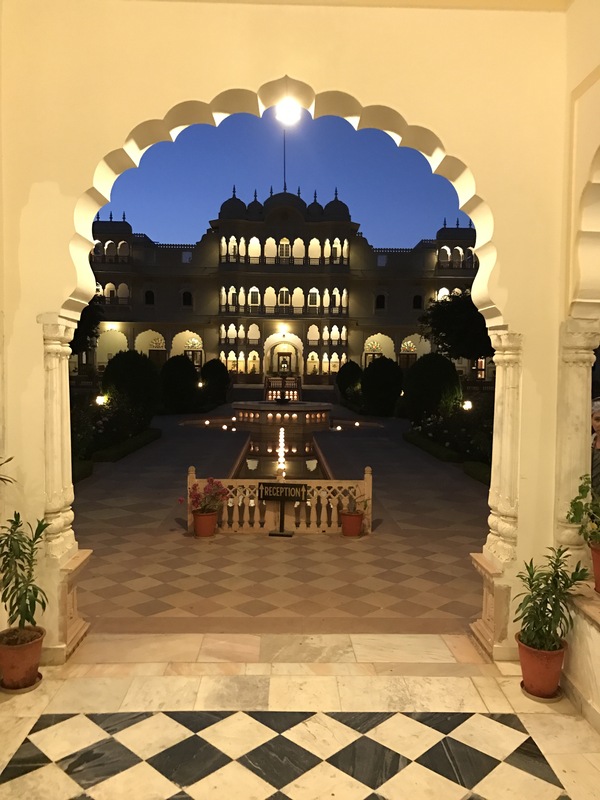 Their loss was our gain, as we were able to stay in a palace for a few nights and also were able to tour through them and see how the royals lived. 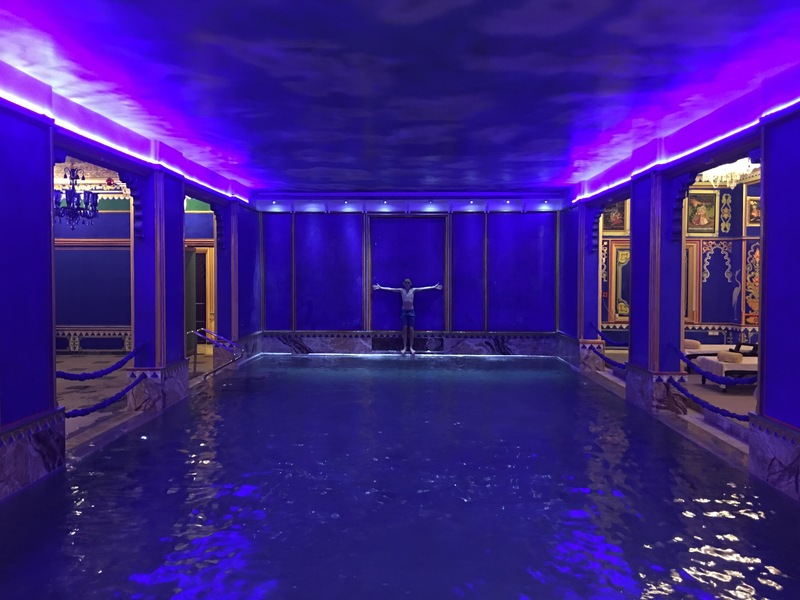 The pool in one of the palaces we stayed in! 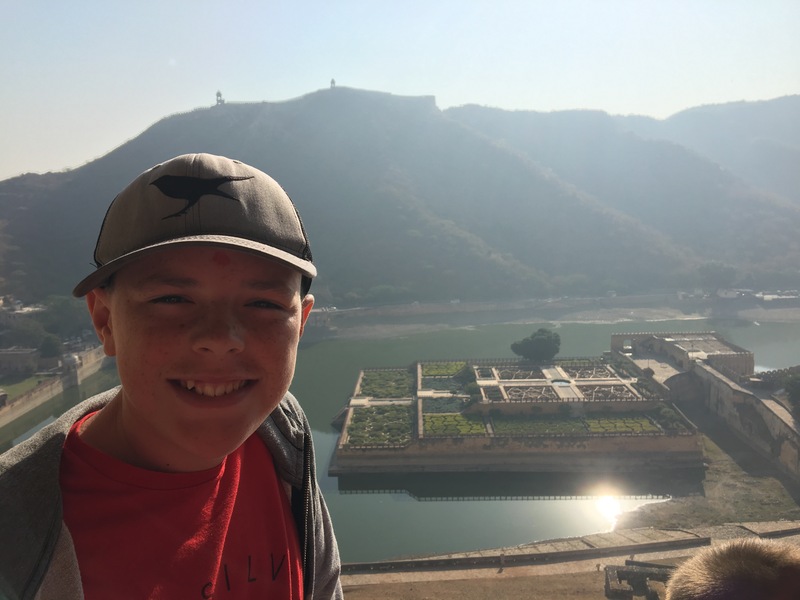 The most exciting fort we went to had to be Amber Fort in Jaipur because we got to ride the painted elephants up to the top! 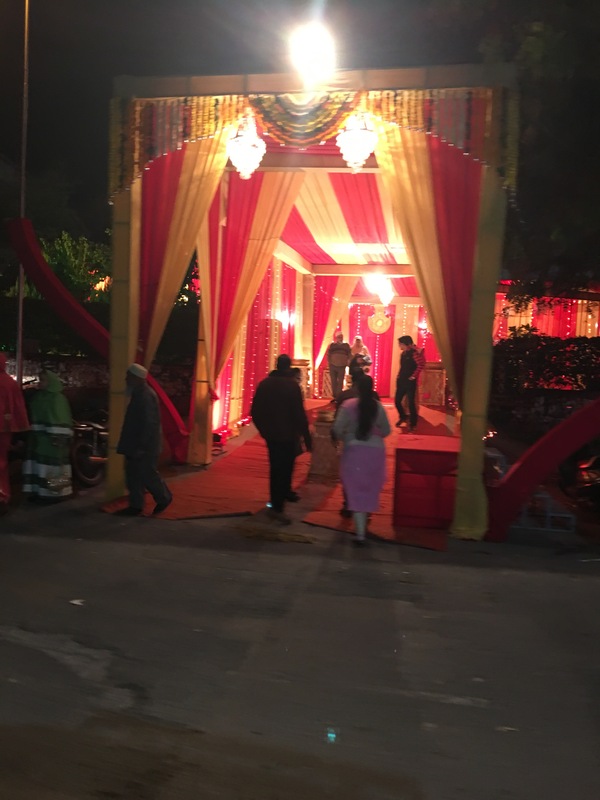 On our first full night in India we were driving home from dinner and asked about Indian weddings because we had seen tents set up for a few as we drove by. Our guide asked if we would like to stop in and see. 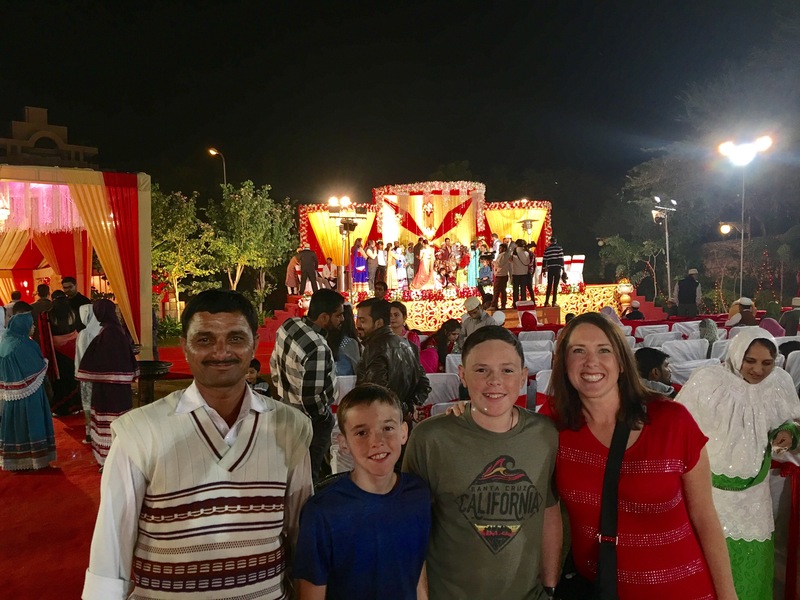 We didn’t want to feel like wedding crashers, but he assured us it would be fine as there are usually 3000-5000 people invited to weddings there. We were so excited and loved having that opportunity. 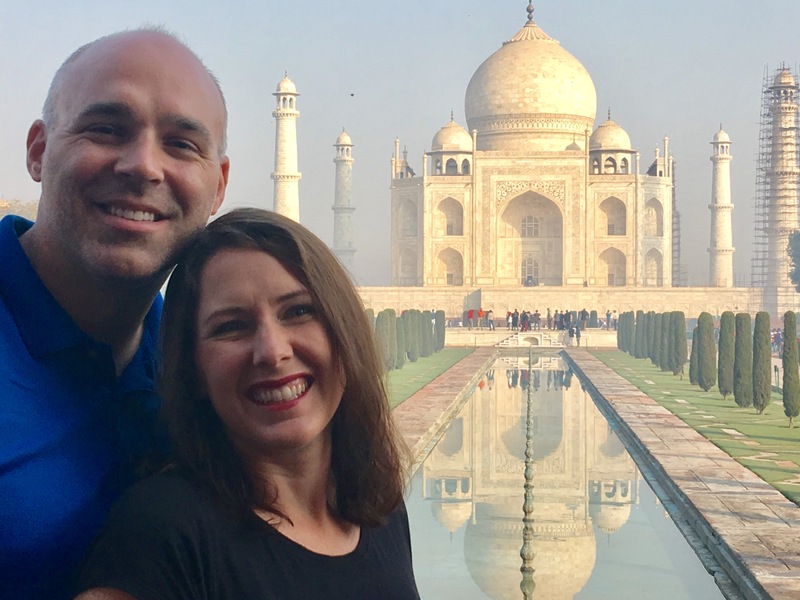 We were fortunate another night while we were in Agra because our guide was planning on attending a wedding in the evening after the tour and invited us to attend with him. We pulled up right as the groom arrived on a white horse for the groom’s procession. It was magical and felt like we were in another world, which, I guess we kind of were. As the groom performed some of the rituals, we were pushed towards the front to watch. 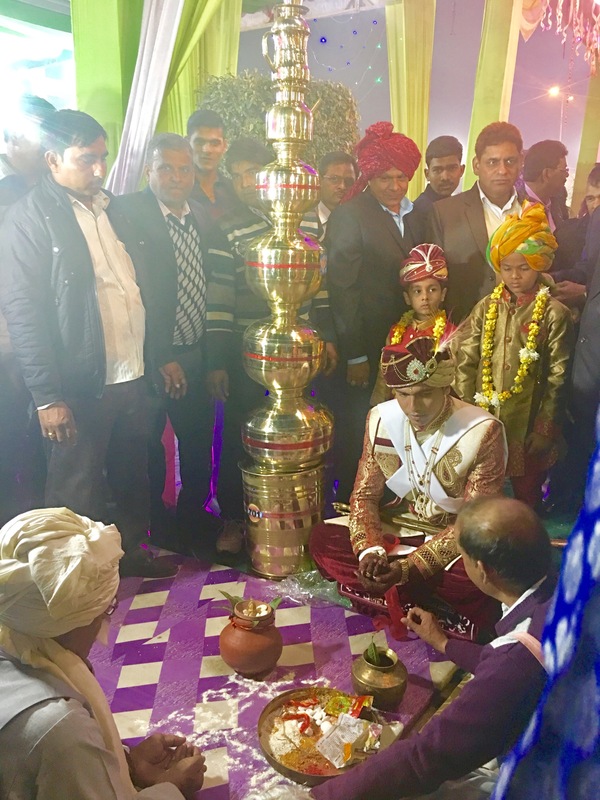 It was a privilege to witness the ceremony performed between the groom and priest, and to spend time celebrating with the other guests afterwards. 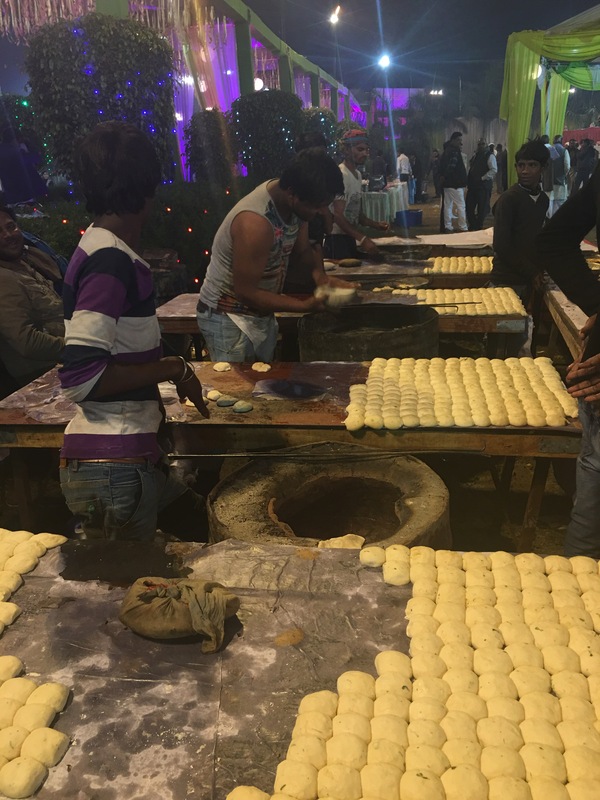 It takes a lot of naan to feed all those people! 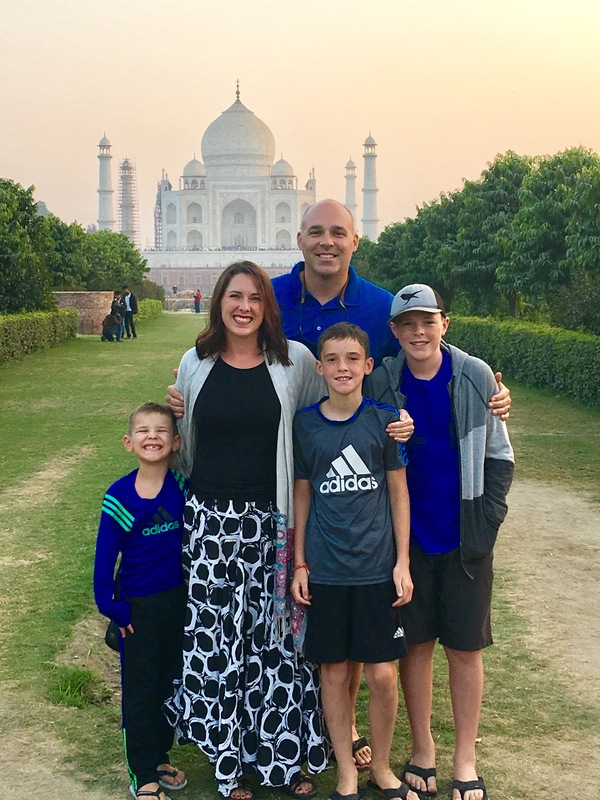 Last but certainly not least is discovering The Taj Mahal, or as the people who have been there call it, “The Taj.” It is truly an engineering masterpiece. 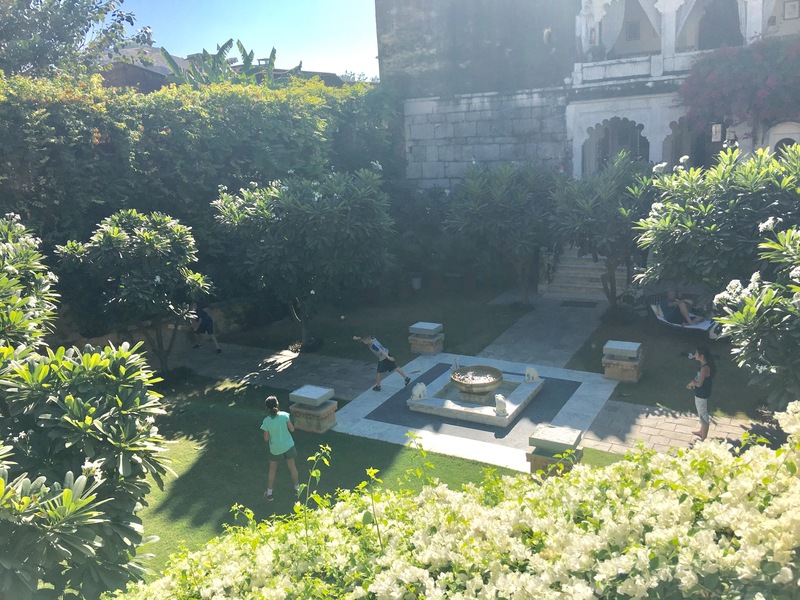 Not only is it beautiful, but when you go, you get to see the many optical illusions that are present when you see it in person. 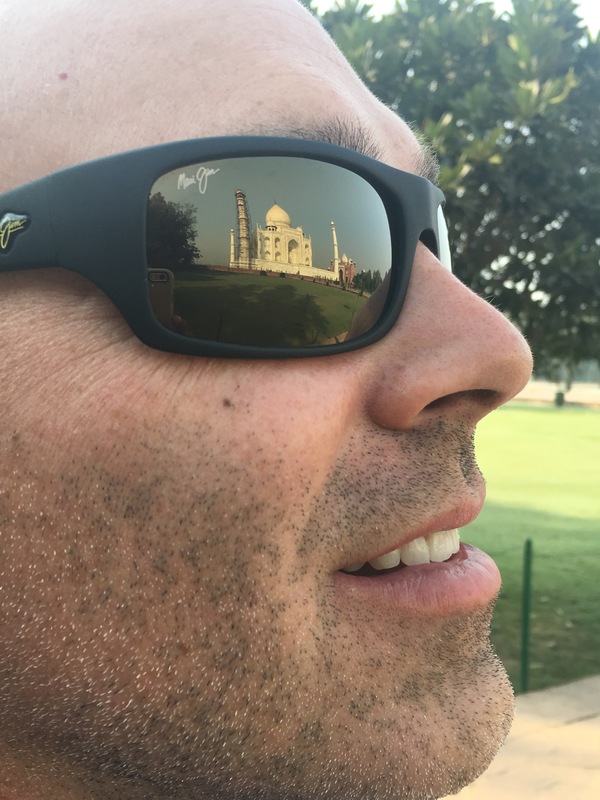 Also, in the pictures it makes it look like the Taj Mahal is white. 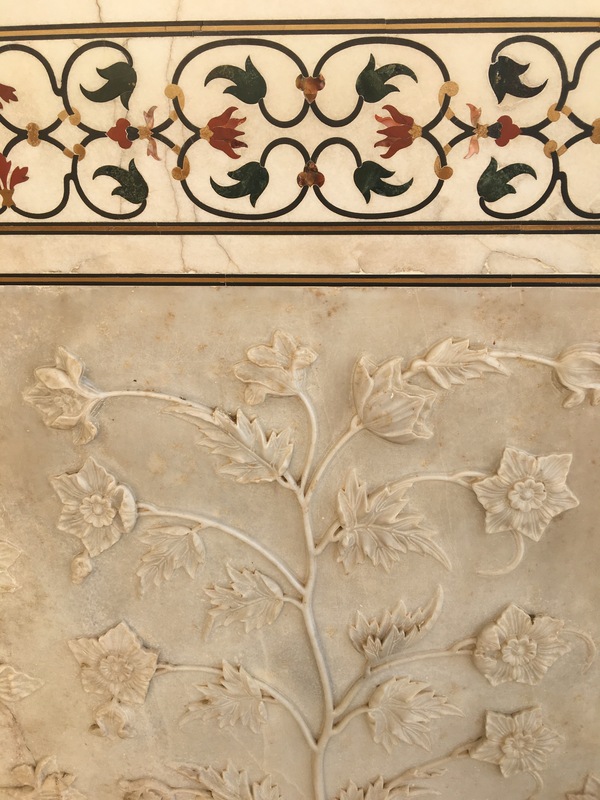 It is made of white marble, but there are beautifully colored inlaid precious stones all over the outside that glitter when the sun shines as well. 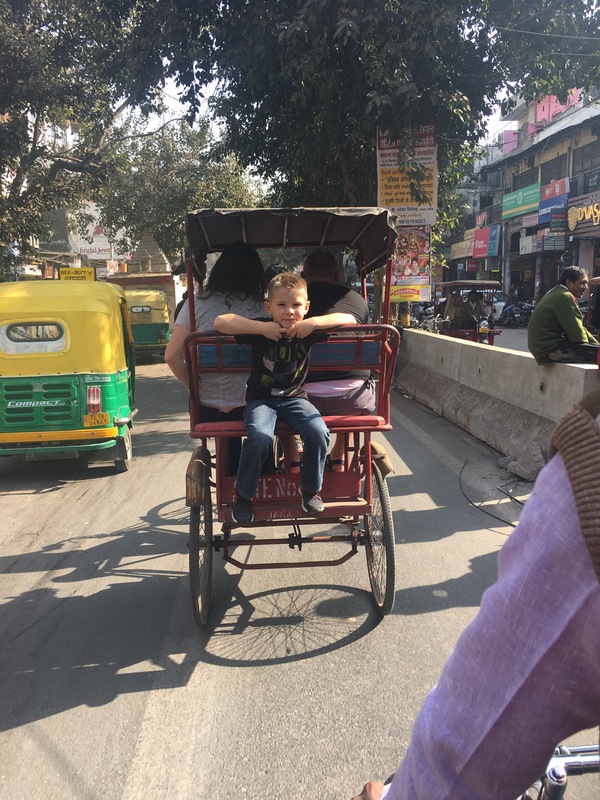 India is a huge country and I know we just scratched the surface with the things we were able to see, experience, and discover. 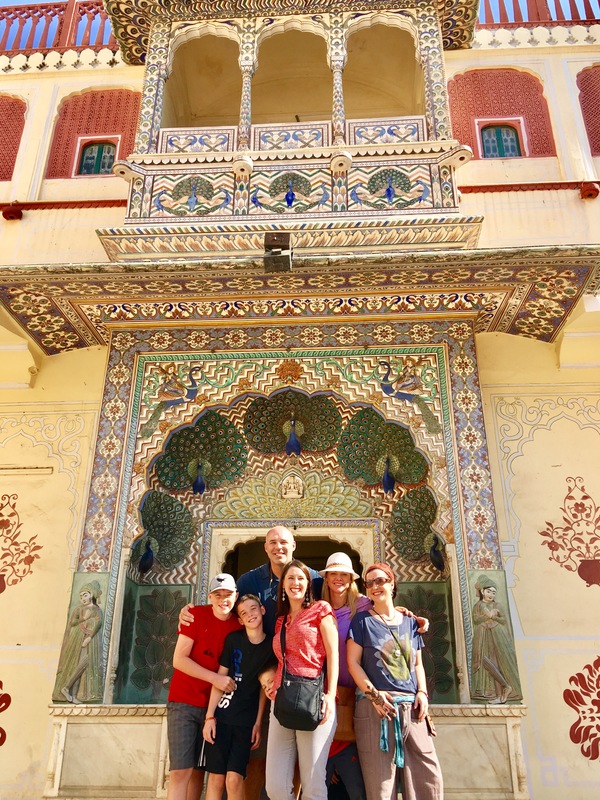 Of all the places we have been, this is the country that I am most excited to return to so I can continue to explore and discover all that India has to offer. Holy cats! What a great entry. Holly and I loved it.